Kenya Bureau of Standards (KEBS) has amended requirements for all cargo being imported into the country. 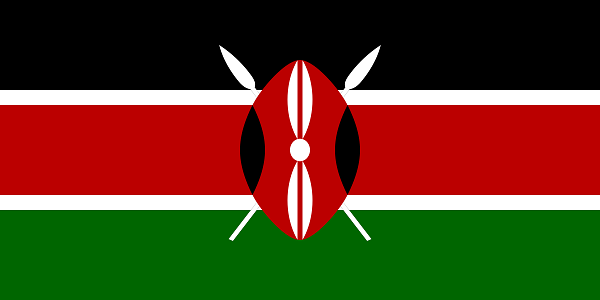 Effective 1st October, all cargo entering Kenya will be subject to a mandatory inspection in the country of origin. Once inspection has been completed, KEBS agents will issue a Certificate of Conformity / Certificate of Roadworthiness. The Certificate of Conformity needs to be submitted PRIOR to stack closure. Any cargo that does not comply to the laws of the KEBS will be destroyed and all costs passed onto the shipper. THESE GENERAL TRADING CONDITIONS AND THE EXPLANATORY NOTE WHICH FOLLOWS THEM HAVE BEEN PREPARED ON THE INSTRUCTIONS OF AND ARE PROPRIETARY TO THE ENTITY, TRADING AS THRUTAINERS INTERNATIONAL, OR ITS SUCCESSOR(S) OR ASSIGNEE(S). NO PLAGIARISM OR OTHER UNAUTHORISED USE OF SUCH DOCUMENTS WILL BE PERMITTED. THE FOLLOWING TERMS AFFECT THE RIGHTS AND OBLIGATIONS OF THE MERCHANT AND LIMIT THE LIABILITY OF THE CARRIER. PLEASE READ ALL TERMS CAREFULLY AND PAY PARTICULAR ATTENTION TO TERMS IN BOLD TEXT. WHERE IT IS INDICATED IN A FOOTNOTE THAT A TERM IS DISCUSSED IN THE “EXPLANATORY NOTE TO THE GENERAL TRADING CONDITIONS”, PLEASE READ THE RELEVANT SECTION IN THAT EXPLANATORY NOTE TO HELP UNDERSTANDING. “CARRIAGE” MEANS THE WHOLE OF THE OPERATIONS AND SERVICES UNDERTAKEN OR PERFORMED BY OR ON BEHALF OF THE CARRIER IN RESPECT OF THE GOODS. “CARRIER” MEANS THE ENTITY TRADING AS THRUTAINERS INTERNATIONAL OR ITS SUCCESSOR(S) OR ASSIGNEE(S), ON WHOSE BEHALF THIS BILL OF LADING HAS BEEN SIGNED. “CHARGES” INCLUDES FREIGHT, DEMURRAGE (*1) AND ALL EXPENSES AND MONETARY OBLIGATIONS, INCLUDING BUT NOT LIMITED TO DUTIES, TAXES AND DUES, INCURRED BY THE CARRIER AND PAYABLE BY THE MERCHANT. “COGSA” MEANS THE CARRIAGE OF GOODS BY SEA ACT OF THE UNITED STATES OF AMERICA APPROVED ON 16TH APRIL 1936. “COGWA” MEANS THE CARRIAGE OF GOODS BY WATER ACT 1936 OF CANADA. “COMBINED TRANSPORT” ARISES WHERE THE CARRIAGE CALLED FOR BY THIS BILL OF LADING IS NOT A PORT TO PORT SHIPMENT. ”CONSIGNEE”MEANS THE PARTY NAMED AS CONSIGNEE ON THE FACE OF THIS BILL OF LADING IN THE RELEVANT SPACE. “CONSOLIDATION” INCLUDES STUFFING, PACKING, LOADING OR SECURING OF GOODS ON OR WITHIN CONTAINERS AND CONSOLIDATE SHALL BE CONSTRUED ACCORDINGLY. “CONSUMER PROTECTION ACT” MEANS THE CONSUMER PROTECTION ACT NO. 68 OF 2008 AND ANY SUBORDINATE LEGISLATION PROMULGATED PURSUANT TO IT, AS AMENDED. “CONTAINER” INCLUDES ANY CONTAINER (INCLUDING BUT NOT LIMITED TO OPEN TOP CONTAINERS), TRAILER, TRANSPORTABLE TANK, PLATFORM, LIFT VAN, FLAT, PALLET OR ANY SIMILAR ARTICLE OF TRANSPORT USED TO CONSOLIDATE GOODS AND ANY ANCILLARY EQUIPMENT. “GOODS” MEANS THE WHOLE OR ANY PART OF THE CARGO RECEIVED BY THE CARRIER FROM THE SHIPPER AND INCLUDES ANY PACKING AND ANY EQUIPMENT OR CONTAINER NOT SUPPLIED BY OR ON BEHALF OF THE CARRIER (BUT EXCLUDES ANY CONTAINER SUPPLIED BY OR ON BEHALF OF THE CARRIER). “HAGUE RULES” MEANS THE PROVISIONS OF THE INTERNATIONAL CONVENTION FOR UNIFICATION OF CERTAIN RULES RELATING TO BILLS OF LADING SIGNED AT BRUSSELS ON 25TH AUGUST 1924. “HAGUE-VISBY RULES” MEANS THE HAGUE RULES AS AMENDED BY THE PROTOCOL SIGNED AT BRUSSELS ON 23RD FEBRUARY 1968. (IT IS EXPRESSLY PROVIDED THAT NOTHING IN THIS BILL OF LADING SHALL BE CONSTRUED AS CONTRACTUALLY APPLYING THE HAGUE-VISBY RULES (*2) ). (*1) THIS CONCEPT IS EXPLAINED IN FOOTNOTE 18 BELOW. (*2) IN OTHER WORDS, NO TERM IN THESE TERMS AND CONDITIONS IS TO BE INTERPRETED SO AS TO MAKE THE HAGUE-VISBY RULES APPLY BY AGREEMENT, WHERE THEIR APPLICATION IS NOT COMPULSORY. “HOLDER” MEANS ANY PERSON FOR THE TIME BEING IN LAWFUL POSSESSION OF OR LAWFULLY ENTITLED TO POSSESSION OF, THIS BILL OF LADING TO OR IN WHOM RIGHTS OF SUIT AND/OR LIABILITY UNDER THIS BILL OF LADING HAVE BEEN LAWFULLY TRANSFERRED OR VESTED. “INDEMNIFY” INCLUDES DEFEND, INDEMNIFY AND HOLD HARMLESS, INCLUDING IN RESPECT OF LEGAL FEES AND COSTS, WHETHER OR NOT THE OBLIGATION TO INDEMNIFY ARISES OUT OF NEGLIGENT OR NON-NEGLIGENT ACTS OR OMISSIONS OF THE CARRIER, HIS SERVANTS, AGENTS OR SUB-CONTRACTORS (*3). “MERCHANT” INCLUDES THE SHIPPER, THE CONSIGNEE, THE RECEIVER OF THE GOODS, THE HOLDER OF THIS BILL OF LADING, ANY PERSON OWNING OR LAWFULLY ENTITLED TO THE POSSESSION OF THE GOODS OR THIS BILL OF LADING, OR ANY PERSON ACTING ON BEHALF OF THE ABOVEMENTIONED. “PERSON”INCLUDES AN INDIVIDUAL, CORPORATION OR OTHER LEGAL ENTITY. “PORT TO PORT SHIPMENT” ARISES WHERE THE PLACE OF RECEIPT AND THE PLACE OF DELIVERY ARE NOT INDICATED ON THE FRONT OF THIS BILL OF LADING OR IF BOTH THE PLACE OF RECEIPT AND THE PLACE OF DELIVERY INDICATED ARE PORTS AND THE BILL OF LADING DOES NOT IN THE NOMINATION OF THE PLACE OF RECEIPT OR THE PLACE OF DELIVERY ON THE FRONT HEREOF SPECIFY ANY PLACE OR SPOT WITHIN THE AREA OF THE PORT SO NOMINATED. “SHIPPER” MEANS THE PARTY NAMED AS SHIPPER ON THE FACE OF THIS BILL OF LADING IN THE RELEVANT SPACE. “SUB-CONTRACTOR” INCLUDES, BUT IS NOT LIMITED TO, OWNERS, CHARTERERS AND OPERATORS OF VESSELS (OTHER THAN THE CARRIER), STEVEDORES, TERMINAL AND/OR GROUPAGE OPERATORS, ROAD, RAIL AND AIR TRANSPORT OPERATORS, WAREHOUSEMEN, LONGSHOREMEN, CUSTOMS INSPECTION STATIONS, PORT AUTHORITIES, PILOTS AND ANY INDEPENDENT CONTRACTOR EMPLOYED BY THE CARRIER IN PERFORMANCE OF THE CARRIAGE AND ANY DIRECT OR INDIRECT SUB-CONTRACTORS, SERVANTS OR AGENTS THEREOF, WHETHER IN DIRECT CONTRACTUAL PRIVITY (*4) WITH THE CARRIER OR NOT. “SHIPPING UNIT” INCLUDES FREIGHT UNIT AND THE TERM “UNIT” AS USED IN THE HAGUE RULES AND HAGUE-VISBY RULES. “STUFFED” INCLUDES FILLED, CONSOLIDATED, PACKED, LOADED OR SECURED. “TERMINAL OPERATORS” MEANS ANY PERSONS WHO PROVIDE PORT STORAGE OR HANDLING SERVICES. “TERMS AND CONDITIONS” MEANS ALL TERMS, RIGHTS, DEFENCES, PROVISIONS, CONDITIONS, EXCEPTIONS, LIMITATIONS AND LIBERTIES HEREIN. “VESSEL” MEANS ANY WATERBORNE CRAFT USED IN THE CARRIAGE UNDER THIS BILL OF LADING INCLUDING BUT NOT LIMITED TO A FEEDER VESSEL OR OCEAN VESSEL. THE PROVISIONS OF THE CARRIER’S APPLICABLE TARIFF, IF ANY, ARE INCORPORATED INTO THESE TERMS AND CONDITIONS. COPIES OF SUCH PROVISIONS ARE OBTAINABLE FROM THE CARRIER (AT WWW.THRUTAINERS.COM) OR HIS AGENTS UPON REQUEST OR, WHERE APPLICABLE, FROM A GOVERNMENT BODY WITH WHOM THE TARIFF HAS BEEN FILED. IN THE CASE OF INCONSISTENCY BETWEEN THIS BILL OF LADING AND THE APPLICABLE TARIFF, THIS BILL OF LADING SHALL PREVAIL. THE MERCHANT WARRANTS (*5) THAT IN AGREEING TO THESE TERMS AND CONDITIONS HE IS THE PERSON OWNING OR ENTITLED TO THE POSSESSION OF THE GOODS AND THIS BILL OF LADING, OR IS THE AGENT OF AND HAS THE AUTHORITY OF THAT PERSON (*6) OR OF ANY PERSON WHO HAS A PRESENT OR FUTURE INTEREST IN THE GOODS AND THIS BILL OF LADING. (*3) INDEMNITIES ARE GIVEN A DIFFERENT MEANING AND SCOPE DEPENDING ON THE CONTEXT. GENERALLY, BY INDEMNIFYING A PERSON AGAINST CLAIMS AND LIABILITY, THE PERSON GIVING THE INDEMNITY IS AT LEAST UNDERTAKING TO PAY ANY JUDGMENTS OR AWARDS MADE AGAINST THE PROTECTED PERSON AND TO PAY THEIR LEGAL COSTS INCURRED IN TRYING TO DEFEND CLAIMS FALLING WITHIN THE SCOPE OF THE INDEMNITY. (*5) UNDERTAKES THAT WHAT IS STATED IN THIS CLAUSE IS TRUE AND MAY BE LIABLE FOR DAMAGES IF IT IS NOT. (*6) TO BE AN AGENT OF A PERSON IS TO BE AUTHORISED BY THEM TO ACT ON THEIR BEHALF. (1) THIS BILL OF LADING SHALL BE NON-NEGOTIABLE (*7) UNLESS MADE OUT “TO ORDER” IN WHICH EVENT IT SHALL BE NEGOTIABLE AND SHALL CONSTITUTE TITLE TO (*8) THE GOODS AND THE HOLDER SHALL BE ENTITLED TO RECEIVE OR TO TRANSFER THE GOODS HEREIN DESCRIBED. (2) THIS BILL OF LADING SHALL BE PRIMA FACIE EVIDENCE OF THE TAKING IN CHARGE BY THE CARRIER OF THE GOODS AS HEREIN DESCRIBED. HOWEVER, PROOF TO THE CONTRARY SHALL NOT BE ADMISSIBLE WHEN THIS BILL OF LADING HAS BEEN NEGOTIATED OR TRANSFERRED FOR VALUABLE CONSIDERATION TO A THIRD PARTY ACTING IN GOOD FAITH (*9). (1) THE CARRIER SHALL BE ENTITLED TO SUB-CONTRACT ON ANY TERMS WHATSOEVER THE WHOLE OR ANY PART OF THE CARRIAGE. (2) THE MERCHANT UNDERTAKES THAT NO CLAIM OR ALLEGATION SHALL BE MADE AGAINST ANY PERSON OR VESSEL WHATSOEVER, OTHER THAN THE CARRIER, INCLUDING, BUT NOT LIMITED TO, THE CARRIER’S SERVANTS OR AGENTS, ANY INDEPENDENT CONTRACTOR AND HIS SERVANTS OR AGENTS, AND ALL OTHERS BY WHOM THE WHOLE OR ANY PART OF THE CARRIAGE, WHETHER DIRECTLY OR INDIRECTLY, IS PROCURED, PERFORMED OR UNDERTAKEN, WHICH IMPOSES OR ATTEMPTS TO IMPOSE UPON ANY SUCH PERSON OR VESSEL ANY LIABILITY WHATSOEVER IN CONNECTION WITH THE GOODS OR THE CARRIAGE OF THE GOODS, WHETHER OR NOT ARISING IN CONTRACT, BAILMENT, TORT, NEGLIGENCE, BREACH OF EXPRESS OR IMPLIED WARRANTY OR OTHERWISE; AND IF ANY CLAIM OR ALLEGATION SHOULD NEVERTHELESS BE MADE TO INDEMNIFY THE CARRIER AGAINST ALL CONSEQUENCES THEREOF. WITHOUT PREJUDICE TO THE FOREGOING EVERY SUCH PERSON AND VESSEL SHALL HAVE THE BENEFIT OF ALL PROVISIONS HEREIN BENEFITING THE CARRIER INCLUDING CLAUSE 20 HEREOF, THE JURISDICTION AND LAW CLAUSE, AS IF SUCH TERMS AND CONDITIONS (INCLUDING CLAUSE 20 HEREOF) WERE EXPRESSLY FOR HIS BENEFIT AND IN ENTERING INTO THIS CONTRACT THE CARRIER, TO THE EXTENT OF THESE PROVISIONS, DOES SO NOT ONLY ON HIS OWN BEHALF BUT ALSO AS AGENT OR TRUSTEE FOR SUCH PERSONS AND VESSELS AND SUCH PERSONS AND VESSELS SHALL TO THIS EXTENT BE OR BE DEEMED TO BE PARTIES TO THIS CONTRACT. WITHOUT PREJUDICE TO THE GENERALITY OF THE FOREGOING, IF THE CARRIAGE IS PORT TO PORT, TERMINAL OPERATORS SHALL HAVE THE BENEFIT OF ALL PROVISIONS HEREIN BENEFITING THE CARRIER, INCLUDING THE EXCEPTIONS AND LIMITATIONS SET OUT IN CLAUSE 6(1) AND 6(3) HEREOF, IN RELATION TO ANY PORT STORAGE OR HANDLING SERVICES PROVIDED WHETHER BEFORE LOADING OR AFTER DISCHARGE AND REGARDLESS OF WHETHER THE CARRIER’S RESPONSIBILITY FOR THE GOODS HAS YET TO COMMENCE OR HAS CEASED. (3) THE MERCHANT SHALL INDEMNIFY THE CARRIER AGAINST ANY CLAIM OR LIABILITY (AND ANY EXPENSE ARISING THEREFROM) ARISING FROM THE CARRIAGE OF THE GOODS INSOFAR AS SUCH CLAIM OR LIABILITY EXCEEDS THE CARRIER’S LIABILITY UNDER THIS BILL OF LADING, EXCEPT TO THE EXTENT IMPERMISSIBLE IN TERMS OF THE CONSUMER PROTECTION ACT WHERE APPLICABLE. (4) THE DEFENCES AND LIMITS OF LIABILITY PROVIDED FOR IN THIS BILL OF LADING SHALL APPLY IN ANY ACTION AGAINST THE CARRIER WHETHER THE ACTION BE FOUND IN CONTRACT, BAILMENT, TORT, BREACH OF EXPRESS OR IMPLIED WARRANTY OR OTHERWISE; PROVIDED THAT, TO THE EXTENT THAT THE CONSUMER PROTECTION ACT IS APPLICABLE IN THE CIRCUMSTANCES OF A PARTICULAR CASE BY OPERATION OF ITS PROVISIONS, THE DEFENCES AND LIMITS AND EXCLUSIONS OF LIABILITY PROVIDED FOR IN THIS BILL OF LADING SHALL BE LIMITED OR EXCLUDED ONLY TO THE EXTENT THAT THEY ARE IMPERMISSIBLE IN TERMS OF THE CONSUMER PROTECTION ACT (WHETHER ANY DEFENCE OR LIMIT OR EXCLUSION IS IMPERMISSIBLE IN TERMS OF THE CONSUMER PROTECTION ACT AND / OR TO WHAT EXTENT, SHALL IN NO INSTANCE BE WITHIN THE DISCRETION OF THE MERCHANT). (*7) NOT CAPABLE OF TRANSFER TO A THIRD PERSON. (*8) EVIDENCE OF OWNERSHIP OF. (*9) ONCE THE BILL OF LADING HAS BEEN SO TRANSFERRED TO A THIRD PARTY ACTING IN GOOD FAITH, THE CARRIER WILL NOT BE ABLE, IN LAW, TO DISPROVE ANY OF THE FACTS SET OUT IN THE BILL OF LADING (SUCH AS THE NUMBER AND CONDITION OF THE GOODS). (*10) SEE THE “EXPLANATORY NOTE TO THE GENERAL TRADING CONDITIONS” FOR A DISCUSSION OF THIS CLAUSE. (A) SUBJECT TO CLAUSE 12 BELOW, THIS BILL OF LADING INSOFAR AS IT RELATES TO SEA CARRIAGE BY ANY VESSEL WHETHER NAMED HEREIN OR NOT SHALL HAVE EFFECT SUBJECT TO THE HAGUE RULES OR ANY LEGISLATION MAKING SUCH RULES OR THE HAGUE-VISBY RULES COMPULSORILY APPLICABLE (SUCH AS COGSA OR COGWA) TO THIS BILL OF LADING AND THE PROVISIONS OF THE HAGUE RULES OR APPLICABLE LEGISLATION SHALL BE DEEMED INCORPORATED HEREIN. THE HAGUE RULES (OR COGSA OR COGWA IF THIS BILL OF LADING IS SUBJECT TO U.S. OR CANADIAN LAW RESPECTIVELY) SHALL APPLY TO THE CARRIAGE OF GOODS BY INLAND WATERWAYS AND REFERENCE TO CARRIAGE BY SEA IN SUCH RULES OR LEGISLATION SHALL BE DEEMED TO INCLUDE REFERENCE TO INLAND WATERWAYS. IF AND TO THE EXTENT THAT THE PROVISIONS OF THE HARTER ACT OF THE UNITED STATES OF AMERICA 1893 WOULD OTHERWISE BE COMPULSORILY APPLICABLE TO REGULATE THE CARRIER’S RESPONSIBILITY FOR THE GOODS DURING ANY PERIOD PRIOR TO LOADING ON OR AFTER DISCHARGE FROM THE VESSEL THE CARRIER’S RESPONSIBILITY SHALL INSTEAD BE DETERMINED BY THE PROVISIONS OF 6(3) BELOW, BUT IF SUCH PROVISIONS ARE FOUND TO BE INVALID SUCH RESPONSIBILITY SHALL BE SUBJECT TO COGSA. (B) THE CARRIER SHALL BE ENTITLED TO (AND NOTHING IN THIS BILL OF LADING SHALL OPERATE TO DEPRIVE OR LIMIT SUCH ENTITLEMENT) THE FULL BENEFIT OF, AND RIGHTS TO, ALL LIMITATIONS OF AND EXCLUSIONS FROM LIABILITY AND ALL RIGHTS CONFERRED OR AUTHORISED BY ANY APPLICABLE LAW, STATUTE OR REGULATION OF ANY COUNTRY (INCLUDING, BUT NOT LIMITED TO, WHERE APPLICABLE ANY PROVISIONS OR SECTIONS 4281 TO 4287, INCLUSIVE, OF THE REVISED STATUTES OF THE UNITED STATES OF AMERICA AND AMENDMENTS THERETO AND WHERE APPLICABLE ANY PROVISIONS OF THE LAWS OF THE UNITED STATES OF AMERICA) AND WITHOUT PREJUDICE TO THE GENERALITY OF THE FOREGOING ALSO ANY LAW, STATUTE OR REGULATION AVAILABLE TO THE OWNER OF THE VESSEL(S) ON WHICH THE GOODS ARE CARRIED. THE RESPONSIBILITY OF THE CARRIER IS LIMITED TO THAT PART OF THE CARRIAGE FROM AND DURING LOADING ONTO THE VESSEL UP TO AND DURING DISCHARGE FROM THE VESSEL AND THE CARRIER SHALL NOT BE LIABLE FOR ANY LOSS OR DAMAGE WHATSOEVER IN RESPECT OF THE GOODS OR FOR ANY OTHER MATTER ARISING DURING ANY OTHER PART OF THE CARRIAGE EVEN THOUGH CHARGES FOR THE WHOLE CARRIAGE HAVE BEEN CHARGED BY THE CARRIER. THE MERCHANT CONSTITUTES THE CARRIER AS AGENT TO ENTER INTO CONTRACTS ON BEHALF OF THE MERCHANT WITH OTHERS FOR TRANSPORT, STORAGE, HANDLING OR ANY OTHER SERVICES IN RESPECT OF THE GOODS PRIOR TO LOADING AND SUBSEQUENT TO DISCHARGE OF THE GOODS FROM THE VESSEL WITHOUT RESPONSIBILITY FOR ANY ACT OR OMISSION WHATSOEVER ON THE PART OF THE CARRIER OR OTHERS AND THE CARRIER MAY AS SUCH AGENT ENTER INTO CONTRACTS WITH OTHERS ON ANY TERMS WHATSOEVER INCLUDING TERMS LESS FAVOURABLE THAN THE TERMS IN THIS BILL OF LADING. (1) (I) THE CARRIER SHALL BE ENTITLED TO RELY UPON ALL EXCLUSIONS FROM LIABILITY UNDER THE RULES OR LEGISLATION THAT WOULD HAVE BEEN APPLIED UNDER 6(1)(A) ABOVE HAD THE LOSS OR DAMAGE OCCURRED AT SEA OR, IF THERE WAS NO CARRIAGE BY SEA, UNDER THE HAGUE RULES (OR COGSA OR COGWA IF THIS BILL OF LADING IS SUBJECT TO U.S. OR CANADIAN LAW RESPECTIVELY). (II) WHERE UNDER (I) ABOVE, THE CARRIER IS NOT LIABLE IN RESPECT OF SOME OF THE FACTORS CAUSING THE LOSS OR DAMAGE, HE SHALL ONLY BE LIABLE TO THE EXTENT THAT THOSE FACTORS FOR WHICH HE IS LIABLE HAVE CONTRIBUTED TO THE LOSS OR DAMAGE. (C) THE AMOUNT OF THE CARRIER’S FEES EARNED IN RESPECT OF SUCH GOODS. (IV) THE VALUE OF THE GOODS SHALL BE DETERMINED ACCORDING TO THE COMMODITY EXCHANGE PRICE AT THE PLACE AND TIME OF DELIVERY TO THE MERCHANT OR AT THE PLACE AND TIME WHEN THEY SHOULD HAVE BEEN SO DELIVERED OR IF THERE IS NO SUCH PRICE ACCORDING TO THE CURRENT MARKET PRICE BY REFERENCE TO THE NORMAL VALUE OF GOODS OF THE SAME KIND AND QUALITY, AT SUCH PLACE AND TIME. (J) ANY CAUSE OR EVENT WHICH THE CARRIER COULD NOT AVOID, AS A CONSEQUENCE OF WHICH THE CARRIER COULD NOT PREVENT THE LOSS OR DAMAGE BY THE EXERCISE OF REASONABLE DILIGENCE. THE BURDEN OF PROOF THAT THE LOSS OR DAMAGE WAS DUE TO ONE OR MORE OF THE CAUSES OR EVENTS SPECIFIED IN THE CLAUSE 6(3)(A) WILL REST UPON THE CARRIER. SAVE THAT IF THE CARRIER ESTABLISHES THAT, IN THE CIRCUMSTANCES OF THE CASE, THE LOSS OR DAMAGE COULD BE ATTRIBUTED TO ONE OR MORE OF THE CAUSES OR EVENTS SPECIFIED ON CLAUSE 6(3)(A)(1)(V)(C)(D) OR (E), IT SHALL BE PRESUMED THAT IT WAS SO CAUSED. THE MERCHANT SHALL, HOWEVER, BE ENTITLED TO PROVE THAT THE LOSS OR DAMAGE WAS NOT, IN FACT, CAUSED EITHER WHOLLY OR PARTLY BY ONE OR MORE OF THESE CAUSES OR EVENTS. (III) WHERE NEITHER (I) OR (II) ABOVE APPLY, ANY LIABILITY OF THE CARRIER SHALL BE DETERMINED BY 6(3)(A) ABOVE. (*11) SEE THE “EXPLANATORY NOTE TO THE GENERAL TRADING CONDITIONS” FOR A DISCUSSION OF THIS CLAUSE. (*13) A LATENT OR “HIDDEN” DEFECT OR A NATURAL PRE-DISPOSITION OF THE GOODS, WHICH WOULD LEAD TO DETERIORATION DURING A VOYAGE ON A SHIP. (*14) THE CARRIER WILL NOT BE LIABLE FOR LOSS OR DAMAGE CAUSED BY FIRE, UNLESS THE MERCHANT CAN SHOW THAT THE FIRE WAS CAUSED BY THE ACTUAL FAULT OF THE CARRIER OR THAT THE CARRIER HAD KNOWLEDGE OF A CIRCUMSTANCE WHICH SUBSEQUENTLY CAUSED THE FIRE OR CONTRIBUTED TO ITS CAUSATION AND THE CARRIER FAILED TO DEAL WITH THAT CIRCUMSTANCE. SAVE AS OTHERWISE PROVIDED HEREIN, THE CARRIER SHALL IN NO CIRCUMSTANCES BE LIABLE FOR DIRECT, INDIRECT OR CONSEQUENTIAL LOSS OR DAMAGE CAUSED BY DELAY OR ANY OTHER CAUSE WHATSOEVER AND HOWSOEVER CAUSED. WITHOUT PREJUDICE TO THE FOREGOING, IF THE CARRIER IS FOUND LIABLE FOR DELAY, LIABILITY SHALL BE LIMITED TO THE FREIGHT APPLICABLE TO THE RELEVANT STAGE OF THE TRANSPORT. (I) WHERE THE HAGUE RULES, HAGUE-VISBY RULES, COGSA OR ANY OTHER RULES APPLY UNDER THIS BILL OF LADING BY NATIONAL LAW OR PURSUANT TO CLAUSE 6(3)(B)(I) THE CARRIER’S LIABILITY SHALL IN NO EVENT EXCEED THE AMOUNTS PROVIDED IN THE APPLICABLE NATIONAL LAW THEREBY MADE APPLICABLE. (II) IF ONLY THE HAGUE RULES ARTICLES 1-8 (EXCLUDING ARTICLE 3, RULE 8) APPLY PURSUANT TO CLAUSE 6(1)(A), CLAUSE 6(1)(B) OR CLAUSE 6(3)(B)(III) THEN THE CARRIER’S MAXIMUM LIABILITY SHALL IN NO EVENT EXCEED US$500 PER PACKAGE OR UNIT. (III) WHERE CARRIAGE INCLUDES CARRIAGE TO, FROM OR THROUGH A PORT IN THE UNITED STATES OF AMERICA AND COGSA APPLIES PURSUANT TO CLAUSE 6(1)(A) OR 6(3)(B)(I) NEITHER THE CARRIER NOR THE VESSEL SHALL IN ANY EVENT BE LIABLE FOR ANY LOSS OR DAMAGE TO OR IN CONNECTION WITH THE CARRIAGE OF THE GOODS IN AN AMOUNT EXCEEDING US$500 PER PACKAGE OR CUSTOMARY FREIGHT UNIT. (IV) IN ALL OTHER CASES COMPENSATION SHALL NOT EXCEED THE LIMITATION OF LIABILITY SET OUT IN CLAUSE 6(3)(A)(1)(III). THE CARRIER’S LIABILITY MAY BE INCREASED TO A HIGHER VALUE BY A DECLARATION IN WRITING OF THE VALUE OF THE GOODS BY THE SHIPPER UPON DELIVERY TO THE CARRIER OF THE GOODS FOR SHIPMENT, SUCH HIGHER VALUE BEING INSERTED ON THE FRONT OF THIS BILL OF LADING IN THE SPACE PROVIDED AND, IF REQUIRED BY THE CARRIER, EXTRA FREIGHT PAID. IN SUCH CASE, IF THE ACTUAL VALUE OF THE GOODS SHALL EXCEED SUCH DECLARED VALUE, THE VALUE SHALL NEVERTHELESS BE DEEMED TO BE THE DECLARED VALUE AND THE CARRIER’S LIABILITY, IF ANY, SHALL NOT EXCEED THE DECLARED VALUE AND ANY PARTIAL LOSS OR DAMAGE SHALL BE ADJUSTED PRO RATA ON THE BASIS OF SUCH DECLARED VALUE. WHERE A CONTAINER IS USED TO CONSOLIDATE GOODS AND SUCH CONTAINER IS STUFFED BY THE CARRIER, THE NUMBER OF PACKAGES OR SHIPPING UNITS STATED ON THE FACE OF THIS BILL OF LADING IN THE BOX PROVIDED SHALL BE DEEMED THE NUMBER OF PACKAGES OR SHIPPING UNITS FOR THE PURPOSE OF ANY LIMIT OF LIABILITY PER PACKAGE OR SHIPPING UNIT PROVIDED IN ANY INTERNATIONAL CONVENTION OR NATIONAL LAW RELATING TO THE CARRIAGE OF GOODS BY SEA. EXCEPT AS AFORESAID THE CONTAINER SHALL BE CONSIDERED THE PACKAGE OR SHIPPING UNIT. THE WORDS “SHIPPING UNIT” SHALL MEAN EACH PHYSICAL UNIT OR PIECE OF CARGO NOT SHIPPED IN A PACKAGE, INCLUDING ARTICLES OR THINGS OF ANY DESCRIPTION WHATSOEVER, EXCEPT GOODS SHIPPED IN BULK, AND IRRESPECTIVE OF THE WEIGHT OR MEASUREMENT UNIT EMPLOYED IN CALCULATION OF FREIGHT CHARGES. AS TO GOODS SHIPPED IN BULK, THE LIMITATION APPLICABLE THERETO SHALL BE THE LIMITATION PROVIDED IN SUCH CONVENTION OR LAW WHICH MAY BE APPLICABLE, AND IN NO EVENT SHALL ANYTHING HEREIN BE CONSTRUED TO BE A WAIVER OF LIMITATION AS TO GOODS SHIPPED IN BULK. IT IS AGREED THAT SUPERFICIAL RUST, OXIDATION OR ANY LIKE CONDITION DUE TO MOISTURE, IS NOT A CONDITION DAMAGE BUT IS INHERENT TO THE NATURE OF THE GOODS AND ACKNOWLEDGEMENT OF RECEIPT OF THE GOODS IN APPARENT GOOD ORDER AND CONDITION IS NOT A REPRESENTATION THAT SUCH CONDITIONS OF RUST, OXIDATION OR THE LIKE DID NOT EXIST ON RECEIPT. SINCE THE GOODS WILL BE CARRIED TOGETHER WITH OTHER GOODS, THERE IS A RISK THAT THEY WILL BE AFFECTED BY ODOURS EMITTED BY OR FROM SUCH OTHER GOODS. THE MERCHANT ACCEPTS SUCH RISK AND AGREES THAT THE CARRIER SHALL NOT BEAR ANY LIABILITY IN RESPECT THEREOF. THE CARRIER SHALL BE DEEMED PRIMA FACIE TO HAVE DELIVERED THE GOODS AS DESCRIBED IN THIS BILL OF LADING UNLESS NOTICE OF LOSS OF, OR DAMAGE TO, THE GOODS, INDICATING THE GENERAL NATURE OF SUCH LOSS OR DAMAGE, SHALL HAVE BEEN GIVEN IN WRITING TO THE CARRIER OR TO HIS REPRESENTATIVE AT THE PLACE OF DELIVERY BEFORE OR AT THE TIME OF REMOVAL OF THE GOODS INTO THE CUSTODY OF THE PERSON ENTITLED TO DELIVERY THEREOF UNDER THIS BILL OF LADING OR, IF THE LOSS OR DAMAGE IS NOT APPARENT, WITHIN THREE CONSECUTIVE DAYS THEREAFTER. THE CARRIER SHALL BE DISCHARGED OF ALL LIABILITY WHATSOEVER IN RESPECT OF THE GOODS UNLESS SUIT IS BROUGHT IN THE PROPER FORUM AND WRITTEN NOTICE THEREOF RECEIVED BY THE CARRIER; (I) WITHIN NINE (9) MONTHS IN RESPECT OF COMBINED TRANSPORT OR (II) WITHIN TWELVE (12) MONTHS IN RESPECT OF PORT-TO-PORT SHIPMENT AFTER DELIVERY OF THE GOODS OR THE DATE WHEN THE GOODS SHOULD HAVE BEEN DELIVERED. IN THE EVENT THAT SUCH TIME PERIOD SHALL BE FOUND CONTRARY TO ANY CONVENTION OR LAW COMPULSORILY APPLICABLE, THE PERIOD PRESCRIBED BY SUCH CONVENTION OR LAW OR THE MINIMUM TIME PERIOD PERMISSIBLE IN TERMS OF SUCH CONVENTION OR LAW SHALL THEN APPLY BUT IN THAT CIRCUMSTANCE ONLY. (1) THE DESCRIPTION AND PARTICULARS OF THE GOODS SET OUT ON THE FACE HEREOF ARE FURNISHED BY THE MERCHANT AND THE MERCHANT WARRANTS16 TO THE CARRIER THAT THE DESCRIPTION AND PARTICULARS INCLUDING, BUT NOT LIMITED TO, OF WEIGHT, CONTENT, MEASURE, QUANTITY, QUALITY, CONDITION, MARKS, NUMBERS AND VALUE ARE CORRECT. (2) THE MERCHANT SHALL COMPLY WITH ALL APPLICABLE LAWS, REGULATIONS AND REQUIREMENTS (INCLUDING BUT NOT LIMITED TO ANY IMPOSED AT ANY TIME BEFORE OR DURING THE CARRIAGE RELATING TO ANTI-TERRORISM MEASURES) OF CUSTOMS, PORT AND OTHER AUTHORITIES AND SHALL BEAR AND PAY ALL DUTIES, TAXES, FINES, IMPOSTS, EXPENSES AND LOSSES (INCLUDING WITHOUT PREJUDICE TO THE GENERALITY OF THE FOREGOING, FREIGHT FOR ANY ADDITIONAL CARRIAGE UNDERTAKEN) INCURRED OR SUFFERED BY REASON THEREOF OR BY REASON OF ANY ILLEGAL, INCORRECT OR INSUFFICIENT MARKING, NUMBERING OR ADDRESSING OF THE GOODS. (3) THE MERCHANT UNDERTAKES THAT THE GOODS ARE PACKED IN A MANNER ADEQUATE TO WITHSTAND THE ORDINARY RISKS OF CARRIAGE HAVING REGARD TO THEIR NATURE AND IN COMPLIANCE WITH ALL LAWS, REGULATIONS AND REQUIREMENTS WHICH MAY BE APPLICABLE. (B) THE CONTAINER AND/OR OTHER COVERING IN WHICH THE GOODS ARE TO BE TRANSPORTED AND/OR THE GOODS THEMSELVES BEING DISTINCTLY MARKED ON THE OUTSIDE SO AS TO INDICATE THE NATURE AND CHARACTER OF ANY SUCH GOODS AND SO AS TO COMPLY WITH ALL APPLICABLE LAWS, REGULATIONS AND/OR REQUIREMENTS. IF ANY SUCH GOODS ARE DELIVERED TO THE CARRIER WITHOUT SUCH WRITTEN CONSENT AND/OR MARKING OR IF IN THE OPINION OF THE CARRIER THE GOODS ARE OR ARE LIABLE TO BECOME OF A DANGEROUS, INFLAMMABLE AND/OR DAMAGING NATURE, THOSE GOODS MAY AT ANY TIME BE UNLOADED, DESTROYED, DISPOSED OF, ABANDONED, OR RENDERED HARMLESS WITHOUT COMPENSATION TO THE MERCHANT AND WITHOUT PREJUDICE TO THE CARRIER’S RIGHT TO CHARGES, EXCEPT TO THE EXTENT IMPERMISSIBLE IN TERMS OF THE CONSUMER PROTECTION ACT WHERE APPLICABLE. (5) THE MERCHANT SHALL BE LIABLE FOR THE LOSS, DAMAGE, CONTAMINATION, SOILING, DETENTION OR DEMURRAGE (*18) BEFORE, DURING AND AFTER THE CARRIAGE OF PROPERTY (INCLUDING, BUT NOT LIMITED TO, CONTAINERS) OF THE CARRIER OR ANY PERSON OR VESSEL (OTHER THAN THE MERCHANT) REFERRED TO IN 5(2) ABOVE, CAUSED BY THE MERCHANT OR ANY PERSON ACTING ON HIS BEHALF OR FOR WHICH THE MERCHANT IS OTHERWISE RESPONSIBLE. (6) THE MERCHANT SHALL INDEMNIFY THE CARRIER AGAINST ANY LOSS, DAMAGE, CLAIM, LIABILITY OR EXPENSE WHATSOEVER ARISING FROM ANY BREACH OF THE PROVISIONS OF THIS CLAUSE 7 OR FROM ANY CAUSE IN CONNECTION WITH THE GOODS FOR WHICH THE CARRIER IS NOT RESPONSIBLE. (*15) SEE THE “EXPLANATORY NOTE TO THE GENERAL TRADING CONDITIONS” FOR A DISCUSSION OF SUB-CLAUSES (2) AND (6). (*16) UNDERTAKES THAT WHAT IS STATED IN THIS CLAUSE IS TRUE AND MAY BE LIABLE FOR DAMAGES IF IT IS NOT. (*17) GIVEN TO OR PLACED AT THE DISPOSAL OF THE CARRIER. (*18) THE MERCHANT WILL BE LIABLE FOR THE COSTS PAYABLE BY THE CARRIER TO THE OWNER OF A VESSEL FOR THE FAILURE TO LOAD OR DISCHARGE THE VESSEL IN THE TIME FRAME AGREED TO WITH THE OWNER, IF THAT FAILURE WAS CAUSED BY THE MERCHANT OR ANY PERSON ACTING ON HIS BEHALF OR FOR WHICH / WHOM THE MERCHANT IS OTHERWISE RESPONSIBLE. IT IS VITAL THAT THE MERCHANT PACK THE GOODS PROPERLY, EVEN MORE SO WHEN THE MERCHANT PACKS THE GOODS INTO A CONTAINER PROVIDED BY THE CARRIER. TAKE NOTE OF THE EXCLUSION OF LIABILITY AND INDEMNITY SET OUT BELOW. (1) GOODS MAY BE STUFFED BY THE CARRIER IN OR ON CONTAINERS AND GOODS MAY BE STUFFED WITH OTHER GOODS. (2) THE TERMS OF THE BILL OF LADING SHALL GOVERN THE RESPONSIBILITY OF THE CARRIER IN CONNECTION WITH OR ARISING OUT OF THE SUPPLY OF A CONTAINER TO THE MERCHANT, WHETHER SUPPLIED BEFORE OR AFTER THE GOODS ARE RECEIVED BY THE CARRIER OR DELIVERED TO THE MERCHANT. (IV) IF THE CONTAINER IS NOT SEALED AT THE COMMENCEMENT OF THE CARRIAGE EXCEPT WHERE THE CARRIER HAS AGREED TO SEAL THE CONTAINER. (B) THE MERCHANT SHALL DEFEND, INDEMNIFY AND HOLD HARMLESS THE CARRIER AGAINST ANY LOSS, DAMAGE, CLAIM, LIABILITY OR EXPENSE WHATSOEVER ARISING FROM ONE OR MORE OF THE MATTERS COVERED BY (A) ABOVE EXCEPT WHERE THE CONTAINER IN QUESTION HAS BEEN SUPPLIED BY OR ON BEHALF OF THE CARRIER AS CONTEMPLATED IN (A)(III) ABOVE AND NEITHER (A)(III)(A) NOR (III)(B) ABOVE APPLY. (4) WHERE THE CARRIER IS INSTRUCTED TO PROVIDE A CONTAINER, IN THE ABSENCE OF A WRITTEN REQUEST TO THE CONTRARY, THE CARRIER IS NOT UNDER AN OBLIGATION TO PROVIDE A CONTAINER OF ANY PARTICULAR TYPE OR QUALITY. (1) THE MERCHANT UNDERTAKES NOT TO TENDER (*19) FOR CARRIAGE ANY GOODS WHICH REQUIRE TEMPERATURE CONTROL WITHOUT PREVIOUSLY GIVING WRITTEN NOTICE (AND FILLING IN THE BOX ON THE FRONT OF THIS BILL OF LADING IF THIS BILL OF LADING HAS BEEN PREPARED BY THE MERCHANT OR A PERSON ACTING ON HIS BEHALF) OF THEIR NATURE AND PARTICULAR TEMPERATURE RANGE TO BE MAINTAINED. IN THE CASE OF A TEMPERATURE CONTROLLED CONTAINER CONSOLIDATED BY OR ON BEHALF OF THE MERCHANT, THE MERCHANT FURTHER UNDERTAKES THAT THE CONTAINER HAS BEEN PROPERLY PRE-COOLED, THAT THE GOODS HAVE BEEN PROPERLY CONSOLIDATED IN THE CONTAINER AND THAT ITS THERMOSTATIC CONTROLS HAVE BEEN PROPERLY SET BY THE MERCHANT BEFORE RECEIPT OF THE GOODS BY THE CARRIER. (2) IF THE ABOVE REQUIREMENTS ARE NOT COMPLIED WITH THE CARRIER SHALL NOT BE LIABLE FOR ANY LOSS OF OR DAMAGE TO THE GOODS CAUSED BY SUCH NON-COMPLIANCE. (3) THE CARRIER SHALL NOT BE LIABLE FOR ANY LOSS OF OR DAMAGE TO THE GOODS ARISING FROM DEFECTS, DERANGEMENT, BREAKDOWN OR STOPPAGE OF THE TEMPERATURE CONTROLLING MACHINERY, PLANT, INSULATION OR ANY APPARATUS OF THE CONTAINER, PROVIDED THAT THE CARRIER SHALL BEFORE OR AT THE BEGINNING OF THE CARRIAGE EXERCISE DUE DILIGENCE TO MAINTAIN THE REFRIGERATED CONTAINER IN AN EFFICIENT STATE. THE CARRIER OR ANY PERSON AUTHORISED BY THE CARRIER SHALL BE ENTITLED, BUT UNDER NO OBLIGATION, TO OPEN AND/OR SCAN ANY CONTAINER OR PACKAGE AT ANY TIME AND TO INSPECT THE CONTENTS. IF IT APPEARS AT ANY TIME THAT THE GOODS CANNOT SAFELY OR PROPERLY BE CARRIED, OR CARRIED FURTHER, EITHER AT ALL OR WITHOUT INCURRING ANY ADDITIONAL EXPENSE OR TAKING MEASURES IN RELATION TO THE CONTAINER OR GOODS, THE CARRIER MAY WITHOUT NOTICE TO THE MERCHANT (BUT AS HIS AGENT ONLY) TAKE ANY MEASURES AND/OR INCUR ANY REASONABLE ADDITIONAL EXPENSE TO CARRY OR CONTINUE THE CARRIAGE THEREOF AND/OR TO SELL OR TO DISPOSE OF THE GOODS AND/OR TO ABANDON THE CARRIAGE AND/OR TO STORE THE GOODS ASHORE OR AFLOAT, UNDER COVER OR IN THE OPEN, AT ANY PLACE, WHICHEVER THE CARRIER IN HIS ABSOLUTE DISCRETION CONSIDERS MOST APPROPRIATE, WHICH SALE, DISPOSAL, ABANDONMENT OR STORAGE SHALL BE DEEMED TO CONSTITUTE DUE DELIVERY UNDER THIS BILL OF LADING (*21) . THE MERCHANT SHALL INDEMNIFY THE CARRIER AGAINST ANY REASONABLE ADDITIONAL EXPENSE SO INCURRED, EXCEPT TO THE EXTENT IMPERMISSIBLE IN TERMS OF THE CONSUMER PROTECTION ACT WHERE APPLICABLE. THE CARRIER IN EXERCISING THE LIBERTIES CONTAINED IN THIS CLAUSE SHALL NOT BE UNDER ANY OBLIGATION TO TAKE ANY PARTICULAR MEASURES AND SHALL NOT BE LIABLE FOR ANY LOSS, DELAY OR DAMAGE HOWSOEVER ARISING FROM ANY ACTION OR LACK OF ACTION UNDER THIS CLAUSE. (*19) GIVE THEM TO THE CARRIER OR PLACE THEM AT THE CARRIER’S DISPOSAL. (*20) SEE THE “EXPLANATORY NOTE TO THE GENERAL TRADING CONDITIONS” FOR A DISCUSSION OF THIS CLAUSE. (*21) THE CARRIER’S RESPONSIBILITY TO THE MERCHANT IN REGARD TO DELIVERY OF THE GOODS WILL BE REGARDED AS HAVING BEEN DISCHARGED. (J) PERMIT THE VESSEL TO CARRY LIVESTOCK, GOODS OF ALL KINDS, DANGEROUS OR OTHERWISE, CONTRABAND, EXPLOSIVES, MUNITIONS OR WARLIKE STORES AND SAIL ARMED OR UNARMED. (2) THE LIBERTIES SET OUT IN CLAUSE 11(1) ABOVE MAY BE INVOKED BY THE CARRIER FOR ANY PURPOSES WHATSOEVER WHETHER OR NOT CONNECTED WITH THE CARRIAGE OF THE GOODS, INCLUDING BUT NOT LIMITED TO LOADING OR UNLOADING THE GOODS, BUNKERING (*22), UNDERGOING REPAIRS, ADJUSTING INSTRUMENTS, PICKING UP OR LANDING ANY PERSONS, INCLUDING BUT NOT LIMITED TO PERSONS INVOLVED WITH THE OPERATION OR MAINTENANCE OF THE VESSEL AND ASSISTING VESSELS IN ALL SITUATIONS. ANYTHING DONE ACCORDANCE WITH CLAUSE 11(1) ABOVE OR ANY DELAY ARISING THEREFROM SHALL BE DEEMED TO BE WITHIN THE CONTRACTUAL CARRIAGE AND SHALL NOT BE A DEVIATION (*23) OF WHATSOEVER NATURE OR DEGREE. (*22) TAKING IN OF SUPPLIES. (*23) SEE THE “EXPLANATORY NOTE TO THE GENERAL TRADING CONDITIONS” FOR A DISCUSSION OF THE CONCEPT OF A “DEVIATION”. (1) GOODS OF ANY DESCRIPTION WHETHER CONTAINERISED OR NOT MAY BE STOWED ON OR UNDER DECK WITHOUT NOTICE TO THE MERCHANT UNLESS ON THE FRONT OF THIS BILL OF LADING IT IS SPECIFICALLY STIPULATED THE CONTAINERS OR GOODS WILL BE CARRIED UNDER DECK AND SUCH STOWAGE SHALL NOT BE A DEVIATION (*25) OF WHATSOEVER NATURE OR DEGREE. IF CARRIED ON DECK, THE CARRIER SHALL NOT BE REQUIRED TO NOTE, MARK OR STAMP ON THE BILL OF LADING ANY STATEMENT OF SUCH ON DECK CARRIAGE. SUBJECT TO CLAUSE 13(2) BELOW, SUCH GOODS WHETHER CARRIED ON DECK OR UNDER DECK SHALL PARTICIPATE IN GENERAL AVERAGE AND SUCH GOODS (OTHER THAN LIVESTOCK) SHALL BE DEEMED TO BE WITHIN THE DEFINITION OF GOODS FOR THE PURPOSES OF THE HAGUE RULES OR ANY LEGISLATION MAKING SUCH RULES COGSA OR THE HAGUE-VISBY RULES COMPULSORILY APPLICABLE TO THIS BILL OF LADING. (2) GOODS (NOT BEING GOODS STUFFED IN OR ON CONTAINERS OTHER THAN OPEN FLATS OR PALLETS) WHICH ARE STATED ON THE FRONT OF THIS BILL OF LADING TO BE CARRIED ON DECK AND WHICH ARE SO CARRIED (AND LIVESTOCK, WHETHER OR NOT CARRIED ON DECK) ARE CARRIED WITHOUT RESPONSIBILITY ON THE PART OF THE CARRIER FOR LOSS OR DAMAGE OF WHATSOEVER NATURE ARISING DURING CARRIAGE BY SEA OR INLAND WATERWAY WHETHER CAUSED BY UNSEAWORTHINESS OR NEGLIGENCE OR ANY OTHER CAUSE WHATSOEVER. THE MERCHANT SHALL INDEMNIFY THE CARRIER AGAINST ALL AND ANY EXTRA COST INCURRED FOR ANY REASON WHATSOEVER IN CONNECTION WITH CARRIAGE OF LIVESTOCK, EXCEPT TO THE EXTENT IMPERMISSIBLE IN TERMS OF THE CONSUMER PROTECTION ACT WHERE APPLICABLE. (*24) SEE THE “EXPLANATORY NOTE TO THE GENERAL TRADING CONDITIONS” FOR A DISCUSSION OF THIS CLAUSE. (*25) SEE FOOTNOTE 23 ABOVE. IN ANY EVENT THE CARRIER SHALL BE ENTITLED TO FULL CHARGES ON GOODS RECEIVED FOR CARRIAGE AND THE MERCHANT SHALL PAY ANY ADDITIONAL COSTS RESULTING FROM THE ABOVE MENTIONED CIRCUMSTANCES, EXCEPT TO THE EXTENT IMPERMISSIBLE IN TERMS OF THE CONSUMER PROTECTION ACT WHERE APPLICABLE. (2) THE LIABILITY OF THE CARRIER IN RESPECT OF THE GOODS SHALL CEASE ON THE DELIVERY OR OTHER DISPOSITION OF THE GOODS IN ACCORDANCE WITH THE ORDERS OR RECOMMENDATIONS GIVEN BY ANY GOVERNMENT OR AUTHORITY OR ANY PERSON ACTING OR PURPORTING (*27) TO ACT AS OR ON BEHALF OF SUCH GOVERNMENT OR AUTHORITY. THIS SHALL AMOUNT TO DUE DELIVERY TO THE MERCHANT (*28). (3) ANY MENTION IN THIS BILL OF LADING OF PARTIES TO BE NOTIFIED OF THE ARRIVAL OF THE GOODS IS SOLELY FOR INFORMATION OF THE CARRIER AND FAILURE TO GIVE SUCH INFORMATION SHALL NOT INVOLVE THE CARRIER IN ANY LIABILITY NOR RELIEVE THE MERCHANT OF ANY OBLIGATION THEREUNDER (*29). (4) IF DELIVERY OF THE GOODS OR ANY PART THEREOF IS NOT TAKEN BY THE MERCHANT AT THE TIME AND PLACE WHEN AND WHERE THE CARRIER IS ENTITLED TO CALL UPON THE MERCHANT TO TAKE DELIVERY THEREOF, THE CARRIER SHALL BE ENTITLED AND WITHOUT PREJUDICE TO ANY OTHER RIGHTS THAT HE MAY HAVE AGAINST THE MERCHANT WITHOUT NOTICE TO REMOVE FROM A CONTAINER THE GOODS OR THAT PART THEREOF IF CONSOLIDATED IN OR ON A CONTAINER AND TO STORE THE GOODS OR THAT PART THEREOF ASHORE, AFLOAT, IN THE OPEN OR UNDER COVER AT THE SOLE RISK (EXCEPT TO THE EXTENT IMPERMISSIBLE IN TERMS OF THE CONSUMER PROTECTION ACT WHERE APPLICABLE) AND EXPENSE OF THE MERCHANT AND THE COSTS OF SUCH STORAGE (IF PAID OR PAYABLE BY THE CARRIER OR ANY AGENT OR SUB-CONTRACTOR OF THE CARRIER) SHALL FORTHWITH UPON DEMAND BE PAID BY THE MERCHANT TO THE CARRIER. SUCH STORAGE SHALL CONSTITUTE DUE DELIVERY HEREUNDER, AND THEREUPON THE LIABILITY OF THE CARRIER IN RESPECT OF THE GOODS OR THAT PART THEREOF SHALL CEASE. (*26) SEE THE “EXPLANATORY NOTE TO THE GENERAL TRADING CONDITIONS” FOR A DISCUSSION OF SUB-CLAUSE (4). (*28) THE CARRIER’S RESPONSIBILITY TO THE MERCHANT IN REGARD TO THE DELIVERY OF THE GOODS WILL BE REGARDED AS HAVING BEEN DISCHARGED. (*29) WHERE THE MERCHANT IS, FOR EXAMPLE, THE CONSIGNEE OR RECEIVER OF THE GOODS (SEE DEFINITION OF “MERCHANT”), THEY WILL STILL NEED TO TAKE DELIVERY OF THE GOODS, EVEN IF ANOTHER PERSON HAS BEEN NAMED IN THE BILL OF LADING AS A PERSON TO NOTIFY ON THE ARRIVAL OF THE GOODS. IF THE VESSEL ON WHICH THE GOODS ARE CARRIED (THE CARRYING VESSEL) COMES INTO COLLISION WITH ANY OTHER VESSEL OR OBJECT (THE NON-CARRYING VESSEL OR OBJECT) AS A RESULT OF THE NEGLIGENCE OF THE NON-CARRYING VESSEL OR OBJECT OR THE OWNER OF, CHARTERER OF OR PERSON RESPONSIBLE FOR THE NONCARRYING VESSEL OR OBJECT, THE MERCHANT UNDERTAKES TO DEFEND, INDEMNIFY AND HOLD HARMLESS THE CARRIER AGAINST ALL CLAIMS BY OR LIABILITY TO (AND ANY EXPENSE ARISING THEREFROM) ANY VESSEL OR PERSON IN RESPECT OF ANY LOSS OF, OR DAMAGE TO, OR ANY CLAIM WHATSOEVER OF THE MERCHANT PAID OR PAYABLE TO THE MERCHANT BY THE NON-CARRYING VESSEL OR OBJECT OR THE OWNER OF, CHARTERER OF OR PERSON RESPONSIBLE FOR THE NON-CARRYING VESSEL OR OBJECT AND SET-OFF, RECOUPED OR RECOVERED BY SUCH VESSEL, OBJECT OR PERSON(S) AGAINST THE CARRIER, THE CARRYING VESSEL OR HER OWNERS OR CHARTERERS. (1) THE CARRIER MAY DECLARE GENERAL AVERAGE WHICH SHALL BE ADJUSTABLE ACCORDING TO THE YORK/ANTWERP RULES OF 2004 AT ANY PLACE AT THE OPTION OF THE CARRIER AND THE AMENDED JASON CLAUSE AS APPROVED BY BIMCO IS TO BE CONSIDERED AS INCORPORATED HEREIN AND THE MERCHANT SHALL PROVIDE SUCH SECURITY AS MAY BE REQUIRED BY THE CARRIER IN THIS CONNECTION. (2) NOTWITHSTANDING (1) ABOVE, THE MERCHANT SHALL DEFEND, INDEMNIFY AND HOLD HARMLESS THE CARRIER IN RESPECT OF ANY CLAIM (AND ANY EXPENSE ARISING THEREFROM) OF A GENERAL AVERAGE NATURE WHICH MAY BE MADE ON THE CARRIER AND SHALL PROVIDE SUCH SECURITY AS MAY BE REQUIRED BY THE CARRIER IN THIS CONNECTION. (3) THE CARRIER SHALL BE UNDER NO OBLIGATION TO TAKE ANY STEPS WHATSOEVER TO COLLECT SECURITY FOR GENERAL AVERAGE CONTRIBUTIONS DUE TO THE MERCHANT. (1) CHARGES SHALL BE DEEMED FULLY EARNED ON RECEIPT OF THE GOODS BY THE CARRIER (*33) AND SHALL BE PAID AND NON-RETURNABLE IN ANY EVENT. (2) THE CHARGES HAVE BEEN CALCULATED ON THE BASIS OF PARTICULARS FURNISHED BY OR ON BEHALF OF THE MERCHANT. THE CARRIER SHALL BE ENTITLED TO PRODUCTION OF THE COMMERCIAL INVOICE FOR THE GOODS OR TRUE COPY THEREOF AND TO INSPECT, REWEIGH, REMEASURE AND REVALUE THE GOODS AND IF THE PARTICULARS ARE FOUND BY THE CARRIER TO BE INCORRECT THE MERCHANT SHALL PAY THE CARRIER THE CORRECT CHARGES (CREDIT BEING GIVEN FOR THE CHARGES CHARGED) AND THE COSTS INCURRED BY THE CARRIER IN ESTABLISHING THE CORRECT PARTICULARS. (3) ALL CHARGES SHALL BE PAID WITHOUT ANY SET-OFF, COUNTER-CLAIM, DEDUCTION OR STAY OF EXECUTION (*34), EXCEPT TO THE EXTENT IMPERMISSIBLE IN TERMS OF THE CONSUMER PROTECTION ACT WHERE APPLICABLE. (4) DESPITE THE ACCEPTANCE BY THE CARRIER OF INSTRUCTIONS TO COLLECT FREIGHT, CHARGES OR OTHER EXPENSES FROM ANY OTHER PERSON IN RESPECT OF THE TRANSPORT UNDER THIS BILL OF LADING, THE MERCHANT SHALL REMAIN RESPONSIBLE FOR SUCH MONIES ON RECEIPT OF EVIDENCE OF DEMAND AND THE ABSENCE OF PAYMENT FOR WHATEVER REASON. (*30) SEE THE “EXPLANATORY NOTE TO THE GENERAL TRADING CONDITIONS” FOR A DISCUSSION OF THIS CLAUSE. (*31) SEE THE “EXPLANATORY NOTE TO THE GENERAL TRADING CONDITIONS” FOR A DISCUSSION OF THIS CLAUSE. (*32) SEE THE “EXPLANATORY NOTE TO THE GENERAL TRADING CONDITIONS” FOR A DISCUSSION OF SUB-CLAUSE (4). (*33) CHARGES WILL BE DUE AND PAYABLE BEFORE CARRIAGE HAS EVEN BEGUN. (*34) NO PART OF THE CHARGES MAY BE WITHHELD EVEN WHERE, FOR EXAMPLE, THE MERCHANT HAS A CLAIM AGAINST THE CARRIER FOR ANOTHER AMOUNT. THE CARRIER SHALL HAVE A LIEN (*35) ON GOODS AND ANY DOCUMENTS RELATING THERETO FOR ALL SUMS WHATSOEVER DUE AT ANY TIME TO THE CARRIER UNDER THE CONTRACT AND FOR GENERAL AVERAGE CONTRIBUTIONS TO WHOMSOEVER DUE. THE CARRIER SHALL ALSO HAVE A LIEN AGAINST THE MERCHANT ON THE GOODS AND ANY DOCUMENTS RELATING THERETO FOR ALL SUMS DUE FROM THE MERCHANT TO THE CARRIER UNDER ANY OTHER CONTRACT. THE CARRIER MAY EXERCISE THIS LIEN AT ANY TIME AND AT ANY PLACE IN HIS SOLE DISCRETION WHETHER THE CONTRACTUAL CARRIAGE IS COMPLETED OR NOT. IN ANY EVENT ANY LIEN SHALL (A) SURVIVE THE DELIVERY OF THE GOODS AND (B) EXTEND TO COVER THE COST OF RECOVERING ANY SUMS DUE AND FOR THAT PURPOSE THE CARRIER SHALL HAVE THE RIGHT TO SELL THE GOODS AND DOCUMENTS BY PUBLIC AUCTION OR PRIVATE TREATY, WITHOUT NOTICE TO THE MERCHANT AND AT THE MERCHANT’S EXPENSE AND WITHOUT ANY LIABILITY TOWARDS THE MERCHANT. NO SERVANT OR AGENT OF THE CARRIER SHALL HAVE POWER TO WAIVE (*36) OR VARY ANY OF THESE TERMS AND CONDITIONS UNLESS SUCH WAIVER OR VARIATION IS IN WRITING AND IS SPECIFICALLY AUTHORISED OR RATIFIED (*37) IN WRITING BY A DIRECTOR OF OFFICER OF THE CARRIER WHO HAS THE ACTUAL AUTHORITY OF THE CARRIER SO TO WAIVE OR VARY. IF ANY PROVISION IN THIS BILL OF LADING IS HELD TO BE INVALID OR UNENFORCEABLE BY ANY COURT OR REGULATORY OR SELF REGULATORY AGENCY OR BODY, SUCH INVALIDITY OR UNENFORCEABILITY SHALL ATTACH ONLY TO SUCH PROVISION (*38). THE VALIDITY OF THE REMAINING PROVISIONS SHALL NOT BE AFFECTED THEREBY AND THIS BILL OF LADING CONTRACT SHALL BE CARRIED OUT AS IF SUCH INVALID OR UNENFORCEABLE PROVISION WERE NOT CONTAINED HEREIN. (1) WHERE THE STAGE OF CARRIAGE WHERE THE LOSS OR DAMAGE OCCURRED IS KNOWN AND THE CARRIER HAS SUB-CONTRACTED THAT STAGE, THE CARRIER SHALL HAVE THE FULL BENEFIT OF ALL RIGHTS, LIMITATIONS AND EXCLUSIONS OF LIABILITY AVAILABLE TO SUCH SUB-CONTRACTOR AND IN ANY LAW, STATUTE OR REGULATION AND THE LIABILITY OF THE CARRIER SHALL NOT EXCEED THE AMOUNT RECOVERED, IF ANY, BY THE CARRIER FROM SUCH SUB-CONTRACTOR. (2) IN ALL OTHER CASES THE CARRIER SHALL BE UNDER NO LIABILITY WHATSOEVER AND HOWEVER ARISING. NOTHING IN THIS CLAUSE 20 SHALL OVERRIDE THE LIMITATION OF LIABILITY SET OUT IN CLAUSE CLAUSE 6(3)(A)(1)(III) ABOVE. THE CONTRACT EVIDENCED BY OR CONTAINED IN THIS BILL OF LADING IS GOVERNED BY THE LAW OF THE REPUBLIC OF SOUTH AFRICA AND ANY CLAIM OR DISPUTE HEREUNDER OR IN CONNECTION HEREWITH SHALL BE DETERMINED BY THE COURTS IN THE REPUBLIC OF SOUTH AFRICA AND NO OTHER COURT AND TO THIS END THE PARTIES TO THE CONTRACT EVIDENCED BY OR CONTAINED IN THIS BILL OF LADING SUBMIT THEMSELVES TO THE JURISDICTION OF THE COURTS OF THE REPUBLIC OF SOUTH AFRICA. (*35) A RIGHT TO KEEP POSSESSION OF THE GOODS UNTIL WHAT IS DUE TO THE CARRIER HAS BEEN PAID. (*38) IT WILL NOT AFFECT THE REST OF THESE TERMS AND CONDITIONS. (*39) SEE THE “EXPLANATORY NOTE TO THE GENERAL TRADING CONDITIONS” FOR A DISCUSSION OF THIS CLAUSE. NOTHING IN THESE TERMS AND CONDITIONS SHALL BE CONSTRUED AS BINDING THE CARRIER AND THE MERCHANT TO THE PROVISIONS OF THE CONSUMER PROTECTION ACT IN INSTANCES WHERE THE CONSUMER PROTECTION ACT WOULD NOT OTHERWISE BE BINDING ON THEM BY VIRTUE OF ITS PROVISIONS. EXPLANATORY NOTES IN FOOTNOTES ARE INTENDED FOR GUIDANCE FOR THE PURPOSES OF THE CONSUMER PROTECTION ACT ONLY AND ARE NOT TO BE TAKEN AS AN EXHAUSTIVE EXPLANATION OF THE CORRECT LEGAL MEANING OF ANY TERM OR CONCEPT. THIS EXPLANATORY NOTE AND THE GENERAL TRADING CONDITIONS WHICH IT PERTAINS TO HAVE BEEN PREPARED ON THE INSTRUCTIONS OF AND ARE PROPRIETARY TO THE ENTITY, TRADING AS THRUTAINERS INTERNATIONAL OR ITS SUCCESSOR(S) OR ASSIGNEE(S). NO PLAGIARISM OR OTHER UNAUTHORISED USE OF SUCH DOCUMENTS WILL BE PERMITTED. 1.2 MORE COMPLEX CLAUSES WHICH REQUIRE A FULLER EXPLANATION ARE DEALT WITH IN THIS EXPLANATORY NOTE. 2. If, after reading this explanatory note and the General Trading Conditions (this explanatory note is not a substitute for the General Trading Conditions), there are any terms you do not understand, please send your queries to admin@thrutainers.com. 3.1 WORDS WITH CAPITAL LETTERS. ANY TERM IN THIS EXPLANATORY NOTE WHICH STARTS WITH A CAPITAL LETTER BUT HAS NOT BEEN DEFINED IN THIS EXPLANATORY NOTE, HAS THE MEANING GIVEN TO IT IN THE GENERAL TRADING CONDITIONS. 3.2 WHO IS THE CARRIER? IN MANY INSTANCES IN THE GENERAL TRADING CONDITIONS AND IN THIS EXPLANATORY NOTE, REFERENCE IS MADE TO “THE CARRIER”, WHICH IS A REFERENCE TO THE ENTITY, TRADING AS THRUTAINERS INTERNATIONAL, OR ITS SUCCESSOR(S) OR ASSIGNEE(S). HOWEVER, THE EFFECT OF THE GENERAL TRADING CONDITIONS IS THAT OTHER PERSONS WHICH THE CARRIER ENGAGES TO CARRY THE GOODS, OR WHICH ARE OTHERWISE INVOLVED IN CARRYING THE GOODS, ARE PARTY TO AND GET THE BENEFIT OF THE GENERAL TRADING CONDITIONS. BECAUSE OF THIS, AT TIMES A CLAUSE IN THE GENERAL TRADING CONDITIONS OR A PARAGRAPH IN THIS EXPLANATORY NOTE MAY REFER TO A RIGHT, OBLIGATION OR ACTION OF A “CARRIER”, BUT IN REALITY, IT MAY NOT BE THE CARRIER WHICH WILL EXERCISE THAT RIGHT OR UNDERTAKE THAT OBLIGATION OR ACTION. IT MAY, FOR EXAMPLE, BE THE OWNER OF THE SHIP USED TO CARRY THE GOODS OR THE PERSON RESPONSIBLE FOR OFFLOADING THE GOODS IN THE PORT OF DESTINATION, DEPENDING ON THE CLAUSE OR PARAGRAPH IN QUESTION. 3.3 WHO IS THE MERCHANT? IN TERMS OF THE GENERAL TRADING CONDITIONS, “THE MERCHANT” ASSUMES LIABILITY, INDEMNIFIES THE CARRIER AGAINST LOSSES AND GIVES CERTAIN UNDERTAKINGS. THE TERM “THE MERCHANT” INCLUDES MANY PERSONS, INCLUDING THE CONSIGNEE OR RECEIVER OF THE GOODS, BUT IT IS MOST IMPORTANT TO UNDERSTAND THAT THE TERM INCLUDES YOU AS THE OWNER AND / OR SHIPPER OF GOODS WHICH THE CARRIER HAS BEEN INSTRUCTED TO CARRY. 3.4 WHY TALK ABOUT THE BILL OF LADING? AT TIMES, REFERENCES ARE MADE IN THE GENERAL TRADING CONDITIONS TO “THIS BILL OF LADING” OR “THE BILL OF LADING”. SOMETIMES THE GENERAL TRADING CONDITIONS WILL REFER TO INFORMATION INCLUDED “ON THE FRONT HEREOF” OR “ON THE FRONT OF THIS BILL OF LADING”. THIS IS BECAUSE ANY HOUSE BILL OF LADING ISSUED BY THE CARRIER WILL INCLUDE THE GENERAL TRADING CONDITIONS AND IS MEANT TO BE READ WITH THE GENERAL TRADING CONDITIONS. THE BILL OF LADING ISSUED BY THE CARRIER WILL, AMONGST OTHER THINGS, BE EVIDENCE OF THE AGREEMENT TO CARRY THE GOODS. (B) BOTH THE PLACE OF RECEIPT AND THE PLACE OF DELIVERY FOR THE GOODS ARE PORTS, BUT NO SPECIFIC POINT FOR RECEIPT OR DELIVERY WITHIN EITHER PORT IS COMMUNICATED TO THE CARRIER. 3.6 WHAT’S THE IMPORTANCE OF A “DEVIATION”? THE WORD “DEVIATION” IS USED TWICE IN THE GENERAL TRADING CONDITIONS. A DEVIATION IS, IN SIMPLE TERMS, A DEPARTURE FROM AN AGREED OR NORMAL TRADE ROUTE. IF THERE IS A “DEVIATION”, AS THAT TERM IS UNDERSTOOD IN LAW, THE EXCLUSIONS OF LIABILITY IN CERTAIN OF THE DOCUMENTS (SEE PARAGRAPH 4.3(B) BELOW IN RELATION TO “DOCUMENTS”), WHICH WOULD BENEFIT THE CARRIER, FALL AWAY. TO AVOID THIS, THE GENERAL TRADING CONDITIONS NAME CERTAIN ACTIONS WHICH THE CARRIER MAY TAKE IN RELATION TO THE CARRIAGE OF THE GOODS, WHICH THE MERCHANT AGREES WILL NOT BE REGARDED AS DEVIATIONS. FOR EXAMPLE, THE STOWAGE OF GOODS ON OR UNDER DECK ON A SHIP IN THE DISCRETION OF THE CARRIER, OR UNDER DECK ON THE INSTRUCTION OF THE MERCHANT, WILL NOT BE REGARDED AS A “DEVIATION” (SEE CLAUSE 12(1) OF THE GENERAL TRADING CONDITIONS). FURTHER ACTIONS WHICH WILL NOT BE REGARDED AS “DEVIATIONS” ARE LISTED IN CLAUSE 11(1). 3.7 CPA. IN DIFFERENT PLACES WITHIN THE GENERAL TRADING CONDITIONS, TERMS HAVE BEEN QUALIFIED (LIMITED) WITH REFERENCE TO THE CPA. THE EFFECT OF THIS IS THAT, IF THE CPA INCLUDES A CONSUMER PROTECTION WHICH CONFLICTS WITH A TERM IN THE GENERAL TRADING CONDITIONS, THAT TERM WILL NOT APPLY TO THE EXTENT REQUIRED TO MAKE IT PERMISSIBLE IN TERMS OF THE CPA. IT WILL NOT BE UP TO THE MERCHANT TO DETERMINE WHETHER A TERM IS PERMISSIBLE IN TERMS OF THE CPA. WHERE NECESSARY, THIS WILL BE DECIDED BY THE PROPER ADJUDICATOR PROVIDED FOR IN THE CPA. (A) IN TERMS OF THIS CLAUSE, THE MERCHANT AGREES NOT TO MAKE ANY CLAIM OR ALLEGATION AGAINST ANY PERSON INVOLVED IN THE CARRIAGE OF THE GOODS, EXCEPT THE CARRIER. IF THE MERCHANT MAKES SUCH A CLAIM OR ALLEGATION DESPITE THIS AGREEMENT, THE MERCHANT INDEMNIFIES THE CARRIER AGAINST ALL CONSEQUENCES OF DOING SO. (B) IN ANY EVENT, THE LIABILITY OF ALL PERSONS INVOLVED IN THE CARRIAGE OF THE GOODS IS SUBJECT TO ALL OF THE LIMITS OF LIABILITY SET OUT IN THE GENERAL TRADING CONDITIONS FOR THE BENEFIT OF THE CARRIER. (C) IF THE SHIPMENT OF THE GOODS IS A PORT-TO-PORT SHIPMENT AND THE SERVICES OF A TERMINAL OPERATOR – AN OPERATOR BASED IN A PORT, WHICH STORES AND HANDLES GOODS LEAVING OR COMING INTO THAT PORT – ARE ENGAGED, THAT TERMINAL OPERATOR WILL HAVE THE BENEFIT OF ALL OF THE LIMITS OF LIABILITY SET OUT IN THE GENERAL TRADING CONDITIONS. (A) THE MERCHANT WILL NOT BE ABLE TO RECOVER FROM THE CARRIER ANY AMOUNT IN EXCESS OF THESE LIMITS, NO MATTER HOW THE CARRIER’S LIABILITY ARISES OR WHAT BASIS THE MERCHANT’S CLAIM MAY HAVE. (B) THE MERCHANT INDEMNIFIES THE CARRIER AGAINST ANY CLAIM OR LIABILITY WHICH EXCEEDS THESE LIMITS. (A) WHAT IS SET OUT IN PARAGRAPHS (B) TO (J) BELOW SUMMARISES THE PROVISIONS OF CLAUSES 6(1), 6(3)(A)(1)(I) – (III), 6(3)(B) AND 6(4)(B) – (D) OF THE GENERAL TRADING CONDITIONS. (B) THERE ARE CERTAIN RULES, REGULATIONS AND CONVENTIONS AND THERE IS CERTAIN LEGISLATION WHICH REGULATES THE CARRIAGE OF GOODS GLOBALLY OR IN CERTAIN PARTS OF THE WORLD (COLLECTIVELY REFERRED TO HERE AS “DOCUMENTS”). ONE OF THE THINGS REGULATED BY THESE DOCUMENTS IS THE SCOPE OF LIABILITY OF THE CARRIER. (III) THE AMOUNT OF THE FEES EARNED BY THE CARRIER IN RESPECT OF SUCH GOODS, WHICHEVER IS THE LESSER. (D) THE VALUE OF THE GOODS WILL BE DETERMINED AS DESCRIBED IN CLAUSE 6(3)(A)(1)(IV) OF THE GENERAL TRADING CONDITIONS. (E) THE EFFECT OF THE GENERAL TRADING CONDITIONS IS THAT, WHEREVER IT IS LAWFUL FOR THE CARRIER TO APPLY THE LIMIT DESCRIBED IN PARAGRAPH (C) ABOVE AND WHEREVER THIS LIMIT IS MORE FAVOURABLE TO THE CARRIER THAN ANY LIMIT IN THE DOCUMENTS, THE CARRIER WILL APPLY THIS LIMIT. (F) THE EFFECT OF THE GENERAL TRADING CONDITIONS IS ALSO THAT, IF THE DOCUMENTS APPLY TO THE CARRIAGE OF THE GOODS AND IT IS NOT POSSIBLE TO AVOID THEIR APPLICATION, THE CARRIER’S LIABILITY WILL BE LIMITED TO THE AMOUNTS SET OUT IN THE RELEVANT DOCUMENTS. THIS LIABILITY WILL IN MOST IF NOT ALL INSTANCES, BE GREATER THAN THE LIMIT DESCRIBED IN PARAGRAPH (C) ABOVE. WHEREVER POSSIBLE (IN SOME INSTANCES THE DOCUMENTS PERMIT THIS), THE CARRIER WILL LIMIT ITS LIABILITY UNDER THE APPLICABLE DOCUMENTS, TO US$ 500.00 PER PACKAGE OR SHIPPING UNIT. (II) IN ALL OTHER CASES, EACH CONTAINER WILL BE REGARDED AS ONE “PACKAGE” OR “SHIPPING UNIT”. (H) FURTHER TO WHAT IS SAID ABOVE, WHEREVER POSSIBLE, THE CARRIER CLAIMS AND WILL CLAIM THE BENEFIT OF THE EXCLUSIONS OF AND LIMITS TO LIABILITY PROVIDED IN THE DOCUMENTS THEMSELVES. IF THE DOCUMENTS EVER GO FURTHER THAN THE GENERAL TRADING CONDITIONS IN EXCLUDING OR LIMITING THE LIABILITY OF THE CARRIER, THE CARRIER WILL CLAIM THE BENEFIT OF THAT FURTHER PROTECTION. (I) IF, GIVEN THE RELIANCE ON EXCLUSIONS OF LIABILITY UNDER THE DOCUMENTS, THE CARRIER IS NOT LIABLE FOR SOME OF THE FACTORS CAUSING THE LOSS OR DAMAGE IN QUESTION, THE CARRIER WILL ONLY BE LIABLE FOR THE RESULTS OF THE FACTORS FOR WHICH THE CARRIER IS LIABLE. (J) DESPITE WHAT IS SET OUT ABOVE, THE LIABILITY OF THE CARRIER CAN BE SET BY AGREEMENT AHEAD OF TIME (SEE CLAUSE 6(4)(C), THE “AD VALOREM” CLAUSE). THE MERCHANT CAN INSERT AN AMOUNT ON THE FRONT OF THE BILL OF LADING, WHICH WILL ACT AS A CAP TO THE CARRIER’S LIABILITY. THIS AMOUNT MAY BE HIGHER THAN THAT CONTEMPLATED IN PARAGRAPH (C) ABOVE; HOWEVER, THE MERCHANT WILL BE HELD TO THAT AMOUNT IF THE GOODS EVER HAVE AN ACTUAL VALUE WHICH IS HIGHER THAN THAT STATED ON THE FRONT OF THE BILL OF LADING. THE CARRIER MAY REQUIRE THAT THE MERCHANT PAY A HIGHER CHARGE FOR THE CARRIAGE OF THE GOODS IF A DECLARATION OF VALUE IS MADE. IF THERE IS ONLY PARTIAL LOSS OF OR DAMAGE TO GOODS, THE CARRIER’S LIABILITY WILL BE LIMITED TO A PRO-RATA PORTION OF THE DECLARED VALUE. (A) THIS CLAUSE ONLY APPLIES TO PORT-TO-PORT SHIPMENTS (SEE PARAGRAPH 3.5 ABOVE). (B) THE CARRIER WILL ONLY BE RESPONSIBLE FOR THE GOODS FROM THE TIME WHEN THE LOADING OF THE GOODS ONTO THE VESSEL IN THE FIRST PORT COMMENCES UNTIL THE TIME WHEN THE GOODS ARE DISCHARGED FROM THE VESSEL IN THE PORT OF DESTINATION (“LIABILITY PERIOD”). EVEN IF THE CARRIER ARRANGES AND CHARGES FOR THE CARRIAGE OF THE GOODS BEFORE AND AFTER THAT TIME, THE CARRIER WILL NOT BE LIABLE FOR ANYTHING, INCLUDING LOSS OR DAMAGE RELATING TO THE GOODS, ARISING OUTSIDE OF THE LIABILITY PERIOD. (C) THE MERCHANT AGREES THAT THE CARRIER IS ITS AGENT FOR THE PURPOSES OF ARRANGING THE CARRIAGE, HANDLING AND STORAGE OF AND OTHER ACTIONS RELATING TO THE GOODS BEFORE AND AFTER THE LIABILITY PERIOD AND IS AUTHORISED TO ENTER INTO CONTRACTS FOR THESE ACTIONS ON ANY TERMS, EVEN IF THEY ARE LESS FAVOURABLE TO THE MERCHANT THAN THE GENERAL TRADING CONDITIONS. THE MERCHANT AGREES THAT THE CARRIER WILL NOT BE RESPONSIBLE FOR ANY ACT OR OMISSION OF THE CARRIER IN DOING SO, NOR WILL THE CARRIER BE RESPONSIBLE FOR ANY ACT OR OMISSION OF ANY OTHER PERSON ENGAGED BY THE CARRIER ON BEHALF OF THE MERCHANT, TO CARRY, HANDLE, STORE AND / OR TAKE OTHER ACTION IN RELATION TO THE GOODS BEFORE AND AFTER THE LIABILITY PERIOD. (A) THIS CLAUSE ONLY APPLIES TO COMBINED TRANSPORT, MEANING A SHIPMENT THAT IS NOT A PORT-TO-PORT SHIPMENT (SEE PARAGRAPH 3.5 ABOVE FOR THE MEANING OF “PORT-TO-PORT SHIPMENT”). (B) SUB-CLAUSE (A) CONTINUED. THE CARRIER WILL NOT BE LIABLE AT ALL FOR ANY LOSS OR DAMAGE CAUSED BY THE FACTORS LISTED IN CLAUSE 6(3)(A)(1)(V). THE CARRIER WILL HAVE TO PROVE THAT THE LOSS OR DAMAGE WAS DUE TO ONE OF THOSE FACTORS IN ORDER TO RELY ON THIS EXCLUSION OF LIABILITY; HOWEVER, IF THE CARRIER CAN SHOW THAT THE LOSS OR DAMAGE COULD HAVE BEEN CAUSED BY ONE OR MORE OF THE FACTORS DESCRIBED IN SUB-CLAUSES (V)(C) – (E), IT WILL BE PRESUMED TO HAVE BEEN CAUSED BY ONE OR MORE OF THESE FACTORS. IT WILL THEN BE UP TO THE MERCHANT TO PROVE THAT IT WAS NOT CAUSED WHOLLY OR PARTLY BY ONE OR MORE OF THESE FACTORS. (A) THIS CLAUSE SETS OUT SOME GENERAL PRINCIPLES WHICH REGULATE THE LIABILITY OF THE CARRIER. (B) SUB-CLAUSE (A). THE CARRIER WILL NOT BE LIABLE FOR ANY LOSS OR DAMAGE UNLESS THE LIABILITY IS EXPRESSLY PROVIDED FOR IN THE GENERAL TRADING CONDITIONS. (C) SUB-CLAUSE (A) CONTINUED. IF THE CARRIER IS EVER FOUND LIABLE FOR LOSS OR DAMAGE CAUSED BY DELAY, THE CARRIER’S LIABILITY WILL BE LIMITED TO THE VALUE OF THE FREIGHT CHARGES PAYABLE FOR THE GOODS, FOR THE STAGE OF TRANSPORT DURING WHICH THE DELAY OCCURRED. (D) SUB-CLAUSE (E). THE CARRIER WILL NOT BE RESPONSIBLE FOR ANY RUST, OXIDATION OR OTHER CONDITION CAUSED BY MOISTURE BECAUSE THE MERCHANT AGREES THAT THIS IS PART AND PARCEL OF THE GOODS. IF THE CARRIER GIVES ANY INDICATION THAT GOODS ARE RECEIVED FOR CARRIAGE IN GOOD ORDER AND CONDITION, THE CARRIER IS NOT, IN DOING SO, STATING THAT THEY ARE FREE OF RUST, OXIDATION OR ANOTHER CONDITION CAUSED BY MOISTURE AT THE TIME OF RECEIPT AND THE CARRIER CANNOT BE HELD TO ANY STATEMENT TO THIS EFFECT. THE GOODS WILL BE TRANSPORTED WITH OTHER GOODS, WHICH MAY EMIT ODOURS WHICH AFFECT THE GOODS. THE CARRIER WILL NOT BE LIABLE FOR LOSS OR DAMAGE SUFFERED IF THE GOODS ARE AFFECTED BY ANY ODOUR DURING CARRIAGE. (E) SUB-CLAUSE (F). NOTICE OF LOSS OF OR DAMAGE TO THE GOODS MUST BE GIVEN BEFORE TAKING DELIVERY OF THEM, OR AT THE TIME OF TAKING DELIVERY, OR WITHIN THREE (3) CALENDAR DAYS OF TAKING DELIVERY IF THE LOSS OR DAMAGE IS NOT APPARENT AT THE TIME OF TAKING DELIVERY. IF NOTICE IS NOT GIVEN WITHIN THESE TIME FRAMES, THE CARRIER WILL BE DEEMED, ON THE FACE OF IT, TO HAVE DELIVERED THE GOODS AS INSTRUCTED AND IT WILL BE HARDER FOR THE MERCHANT TO PROVE A CLAIM AGAINST THE CARRIER. (II) PORT-TO-PORT SHIPMENTS, MUST BE BROUGHT WITHIN TWELVE (12) MONTHS, AFTER DELIVERY OF THE GOODS OR OF THE DATE WHEN THE GOODS SHOULD HAVE BEEN DELIVERED. CLAIMS NOT BROUGHT WITHIN THESE PERIODS WILL BE EXTINGUISHED AND NO LONGER ENFORCEABLE. (A) SUB-CLAUSE (2). AMONGST OTHER THINGS, THIS SUB-CLAUSE PROVIDES THAT, IF THE CARRIER IS REQUIRED BY ANY AUTHORITY (SUCH AS A GOVERNMENT AUTHORITY) TO DO ANYTHING IN RELATION TO THE GOODS AND INCURS EXPENSES IN DOING SO, THE MERCHANT WILL BE RESPONSIBLE FOR THOSE EXPENSES. (II) IN CONNECTION WITH THE GOODS, FOR WHICH THE CARRIER IS NOT RESPONSIBLE (IN OTHER WORDS, LIABILITY OVER-AND-ABOVE THE LIMITS OF LIABILITY SET OUT IN THE GENERAL TRADING CONDITIONS, AS PER THE CLAUSE EXPLAINED IN PARAGRAPH 4.2(B) ABOVE). THE EFFECT OF THIS CLAUSE IS THAT THE MERCHANT AUTHORISES THE CARRIER TO DO ANY OF THE THINGS DESCRIBED IN CLAUSE 10, AS THOUGH THEY WERE DOING THEM ON THE MERCHANT’S BEHALF. THE MERCHANT WILL HAVE TO PAY FOR ANY EXPENSES REASONABLY INCURRED BY THE CARRIER IN DOING SO. THE MERCHANT WILL NOT BE ABLE TO BRING ANY CLAIM AGAINST THE CARRIER IN RELATION TO AN ACTION TAKEN UNDER CLAUSE 10 WHICH RESULTS IN LOSS, DELAY OR DAMAGE. THE CARRIER IS NOT OBLIGED TO TAKE ANY ACTION UNDER CLAUSE 10 AND WILL NOT BE LIABLE FOR LOSS, DELAY OR DAMAGE ARISING FROM A LACK OF ACTION UNDER CLAUSE 10. (A) SUB-CLAUSE (1). IF THE MERCHANT STIPULATES THAT THE GOODS MUST BE CARRIED UNDER DECK, THIS INSTRUCTION WILL BE REFLECTED ON THE FACE OF THE BILL OF LADING AND THE GOODS WILL BE CARRIED UNDER DECK. IF THE MERCHANT DOESN’T REQUIRE THIS, THE GOODS MAY BE CARRIED ON OR UNDER DECK, AS THE CARRIER SEES FIT. THE CARRIER WILL NOT BE OBLIGED TO GIVE THE MERCHANT NOTICE AS TO WHERE THE GOODS ARE STOWED AND IF THE GOODS ARE STOWED ON DECK, THE BILL OF LADING WILL NOT HAVE TO INCLUDE NOTE OF THAT FACT. REGARDLESS OF WHERE THE GOODS ARE STOWED, THEY WILL PARTICIPATE IN THE GENERAL AVERAGE (THIS CONCEPT IS EXPLAINED IN PARAGRAPH 4.12 BELOW) AND THEY WILL BE REGARDED AS “GOODS” SO THAT THE BENEFITS OF THE DOCUMENTS (INCLUDING EXCLUSIONS OF LIABILITY) WILL APPLY FOR THE BENEFIT OF THE CARRIER. (II) ANY GOODS ON DECK AT THE REQUEST OF THE MERCHANT (WHICH REQUEST WILL BE REFLECTED ON THE BILL OF LADING) WHICH ARE NOT IN A CONTAINER OR WHICH ARE IN A CONTAINER WHICH IS AN OPEN FLAT OR PALLET, THE CARRIER WILL NOT BE LIABLE FOR ANY LOSS OR DAMAGE TO THAT LIVESTOCK OR THOSE GOODS, ARISING DURING CARRIAGE BY SEA OR INLAND WATERWAYS. IF THE CARRIER MAKES THE GOODS AVAILABLE FOR DELIVERY (COLLECTION) AFTER CARRIAGE AND DELIVERY IS NOT TAKEN, THE CARRIER MAY STORE THE GOODS AS IT SEES FIT AND RECOVER THE COSTS OF THAT STORAGE FROM THE MERCHANT. THE GOODS WILL BE STORED AT THE MERCHANT’S RISK AND THE CARRIER’S RESPONSIBILITY TO THE MERCHANT WILL END WHEN THE GOODS ARE STORED AS DESCRIBED IN CLAUSE 13 OF THE GENERAL TRADING CONDITIONS. (D) THE MERCHANT WILL NOT BE ABLE TO RECOVER ANYTHING FROM THE CARRYING VESSEL, UNLESS IT IS WITHIN THE LIMITS OF LIABILITY SET OUT IN THE GENERAL TRADING CONDITIONS. (A) “GENERAL AVERAGE” IS A TERM WITH A COMPLEX LEGAL MEANING. IN PRACTICAL TERMS, IT IS AN UNUSUAL SACRIFICE MADE OR EXPENDITURE INCURRED VOLUNTARILY AND REASONABLY DURING A VOYAGE, TO PRESERVE THE CARGO ON BOARD A VESSEL AND THE VESSEL ITSELF FROM A REAL PERIL. FOR EXAMPLE, CARGO MAY BE OFFLOADED IN A PORT OF REFUGE DURING A SEVERE STORM. AS ANOTHER EXAMPLE, CARGO MAY BE THROWN OVERBOARD TO LIGHTEN THE LOAD OF THE SHIP IF THE SHIP HAS RUN AGROUND. (B) THE COSTS OR LOSSES INCURRED IN RELATION TO A “GENERAL AVERAGE” ACT (E.G. THE COSTS OF OFFLOADING CARGO IN A PORT OF REFUGE) ARE GENERALLY, IN LAW, MEANT TO BE PAID FOR OR BORNE BY BOTH THE CARRIER AND BY THE OWNER OF THE CARGO ON BOARD THE VESSEL. THIS LEGAL POSITION IS CONFIRMED AND PRESERVED BY CLAUSE 15 OF THE GENERAL TRADING CONDITIONS. GIVEN THE WAY THE GENERAL TRADING CONDITIONS ARE WORDED, THE CARRIER WILL BE ABLE TO RECOVER GENERAL AVERAGE COSTS FROM THE MERCHANT EVEN WHERE THE CARRIER HAS BEEN AT FAULT (FOR EXAMPLE, THERE MAY HAVE BEEN NEGLIGENT NAVIGATION). (C) IF, DURING THE CARRIAGE OF THE GOODS, A “GENERAL AVERAGE” ACT OCCURS, THE GOODS WILL NOT BE RELEASED BY THE CARRIER AT THE END OF THE CARRIAGE UNTIL THE MERCHANT (IN THIS INSTANCE, THIS MAY BE THE CONSIGNEE OR RECEIVER OF THE GOODS) HAS GIVEN SECURITY FOR A PORTION OF THE GENERAL AVERAGE COSTS WHICH CORRESPONDS TO THE PORTION OF THE TOTAL LOAD ON BOARD WHICH THE GOODS REPRESENT. IN OTHER WORDS, THE MERCHANT WILL BE REQUIRED TO GUARANTEE PAYMENT OF A FRACTION OF THE COSTS OF OR LOSSES RESULTING FROM THE GENERAL AVERAGE ACT, THE MONETARY VALUE OF WHICH WILL BE DETERMINED AT A POINT IN THE FUTURE. (D) IF THE MERCHANT’S OWN GOODS ARE LOST OR DESTROYED AS A CONSEQUENCE OF A GENERAL AVERAGE ACT, THE MERCHANT WILL BE ENTITLED TO RECEIVE COMPENSATION. THIS COMPENSATION WILL BE PAID FROM THE “GENERAL AVERAGE” CONTRIBUTIONS OF THE CARRIER AND ALL OF THE CARGO OWNERS. THE CARRIER WILL NOT BE RESPONSIBLE FOR GETTING SECURITY FOR THESE CONTRIBUTIONS FROM ANYONE, TO SECURE PAYMENT OF COMPENSATION TO THE MERCHANT. EVEN IF THE CARRIER HAS AGREED TO COLLECT CHARGES RELATING TO THE CARRIAGE OF THE GOODS FROM OTHER PERSONS, IF THEY DO NOT PAY WHAT IS DUE, THE MERCHANT WILL BE RESPONSIBLE FOR PAYING WHAT IS DUE WHEN THE CARRIER GIVES THE MERCHANT EVIDENCE OF THE FACT THAT PAYMENT HAS BEEN DEMANDED BUT NOT MADE. THIS CLAUSE HAS BEEN INCLUDED IN THE GENERAL TRADING CONDITIONS IN LIGHT OF THE PERILS AND DIFFICULTIES ENCOUNTERED WHEN TRANSPORTING CARGO WITHIN AFRICA. IF, AT ANY POINT DURING THE CARRIAGE OF THE GOODS, THEY ARE TO BE TRANSPORTED OVER LAND IN AFRICA, THE CARRIER WILL NOT BE LIABLE FOR ANY LOSS OF OR DAMAGE TO GOODS ARISING DURING THAT CARRIAGE, EXCEPT WHERE IT HAS BEEN ESTABLISHED THAT THE LOSS OR DAMAGE TOOK PLACE DURING A STAGE OF CARRIAGE WHICH HAS BEEN SUB-CONTRACTED BY THE CARRIER. IN THIS CASE, IN ADDITION TO BEING ABLE TO RELY ON ANY LIMITATIONS AND EXCLUSIONS OF LIABILITY OF THE SUB-CONTRACTOR, THE CARRIER’S LIABILITY WILL BE LIMITED TO THE AMOUNT WHICH IT RECOVERS FROM ITS SUB-CONTRACTOR, OR THE LIMIT SET OUT IN PARAGRAPH 4.3(C) ABOVE, WHICHEVER IS THE LESSER. 1.1 THESE TERMS AND CONDITIONS SHOULD BE READ IN CONJUNCTION WITH THE THRUTAINERS GENERAL TRADING CONDITIONS WHICH ALSO APPLY TO YOUR USE OF THIS SITE. IF THERE IS A CONFLICT BETWEEN THESE CONDITIONS AND THE THRUTAINERS GENERAL TRADING CONDITIONS, THEN THE THRUTAINERS GENERAL TRADING CONDITIONS SHALL PREVAIL. 1.2 THE SERVICES PROVIDED ON THIS WEBSITE (THE SERVICE/S) MAY ONLY BE USED ON COMPLETION AND ACCEPTANCE OF THE REQUISITE APPLICATION FORMS, QUESTIONNAIRES, MANDATES AND OTHER DOCUMENTATION PROVIDED OR SPECIFIED BY THRUTAINERS INTERNATIONAL (“THRUTAINERS”) FROM TIME TO TIME. 1.3 THRUTAINERS SHALL NOT BE BOUND IN ANY MANNER UNTIL SUCH REQUISITE DOCUMENTATION HAS BEEN COMPLETED BY YOU AND ACCEPTED BY THRUTAINERS. 1.4 YOU SHALL BE RESPONSIBLE FOR ALL STEPS NECESSARY TO ACQUIRE ACCESS TO THE ONLINE SERVICES AND FOR ENSURING THE SECURITY AND CONFIDENTIALITY OF ANY HARDWARE, SOFTWARE OR MEDIUM OF ACCESS (EQUIPMENT) AT YOUR EXPENSE. THIS NOTICE SETS OUT OUR GENERAL PRIVACY UNDERTAKINGS TO YOU. YOU WILL BE REQUIRED TO SUPPLY PERSONAL INFORMATION IN ORDER TO LOG INTO THE RESTRICTED SECTION OF THIS WEBSITE. YOU AGREE THAT WE CAN USE THIS INFORMATION AND DIVULGE IT TO OUR AFFILIATED COMPANIES FOR THE PURPOSES OF MARKETING OUR SERVICES. WE WILL NOT, HOWEVER, OTHERWISE DISCLOSE THIS INFORMATION TO A THIRD PARTY UNLESS REQUIRED TO DO SO BY LAW. 3.1 YOUR USERNAME AND PASSWORD ARE ISSUED TO YOU PERSONALLY AND MAY NOT BE USED BY ANY OTHER PERSON. 3.2 YOU MAY NOT DISCLOSE YOUR USERNAME AND PASSWORD TO ANY OTHER PERSON WHATSOEVER. 3.3 YOU ACCEPT THAT YOUR USERNAME AND PASSWORD CONSTITUTE YOUR SIGNATURE AND THAT ALL COMMUNICATIONS MADE UNDER THAT PASSWORD AND USERNAME SHALL BE DEEMED TO BE YOUR COMMUNICATIONS. 3.4 THRUTAINERS MAY, AT ITS SOLE DISCRETION AND FOR WHATEVER REASON, REQUIRE YOU TO CHANGE YOUR VERIFICATION MECHANISM OR PARTS THEREOF, FROM TIME TO TIME, AND YOU UNDERTAKE TO COMPLY WITH SUCH REQUIREMENT UNCONDITIONALLY. 3.5 THRUTAINERS MAY, AT ITS SOLE DISCRETION, BE ENTITLED TO REFUSE TO GIVE ACCESS TO THE SERVICES. IN PARTICULAR, THRUTAINERS SHALL BE ENTITLED TO DISABLE YOUR ACCESS SHOULD THE USE BECOME INACTIVE. 3.6 YOU UNDERTAKE TO ENSURE THE CONFIDENTIALITY OF THE VERIFICATION MECHANISM AT ALL TIMES. YOU SHALL ENSURE THAT THE VERIFICATION MECHANISM IS NEITHER EASILY ACCESSIBLE NOR DISCLOSED TO SOMEONE OTHER THAN YOU. UNLESS THE CONTRARY IS PROVEN, STORING OR RECORDING YOUR USERNAME AND PASSWORD ON YOUR COMPUTER, PHONE OR NETWORK SHALL BE PRESUMED TO BE THE PROXIMATE OR EFFECTIVE CAUSE OF AN UNAUTHORISED PERSON HAVING PERFORMED AN UNAUTHORISED TRANSACTION AND WILL BE REGARDED AS PRIMA FACIE NEGLIGENCE ON YOUR PART. D) DE-ACTIVATE ACCESS TO THE SERVICES WITHOUT FURTHER NOTICE TO YOU. 3.8 ANY DELAY IN PROVIDING WRITTEN NOTIFICATION, AS SET OUT ABOVE, SHALL BE PRESUMED TO BE PRIMA FACIE PROOF OF NEGLIGENCE ON YOUR PART AND YOU SHALL BEAR THE ONUS OF PROVING THE CONTRARY. 3.9 IT SHALL BE YOUR SOLE RESPONSIBILITY FOR ENSURING, WITHIN YOUR ORGANISATION, THAT THOSE PERSONS WHO HAVE ACCESS TO YOUR USERNAME AND PASSWORD ARE, FROM TIME TO TIME, DULY AUTHORISED TO USE THE SERVICES. 3.10 IF ANY UNAUTHORISED PERSON OBTAINS THE VERIFICATION MECHANISM IN ANY MANNER WHATSOEVER, SUCH PERSON SHALL BE REGARDED AS YOUR DULY AUTHORISED AGENT WITH FULL AUTHORITY TO USE THE SERVICES ON YOUR BEHALF, UNLESS SUCH UNAUTHORISED PERSON HAS OBTAINED THE VERIFICATION MECHANISM DUE TO GROSS NEGLIGENCE OR FRAUD ON THE PART OF THRUTAINERS. 4.1 INSTRUCTIONS BECOME IRREVOCABLE ONCE SUBMITTED TO THRUTAINERS. UNLESS OTHERWISE SPECIFIED, AN ONLINE INSTRUCTION IS DEEMED TO HAVE BEEN SUBMITTED ONCE YOU HAVE POSITIVELY INDICATED YOUR VERIFICATION OF THE INSTRUCTION BY MEANS OF THE FUNCTIONALITY AVAILABLE ON THE WEBSITE. 4.2 THRUTAINERS WILL USE REASONABLE ENDEAVOURS TO CARRY OUT YOUR INSTRUCTIONS RECEIVED IN RESPECT OF THE SERVICES IN A PROMPT AND TIMEOUS MANNER. HOWEVER, THRUTAINERS SHALL NOT BE RESPONSIBLE, AND DISCLAIMS ALL LIABILITY FOR, ANY CLAIMS ARISING FROM THE LATE OR DELAYED ATTENDANCE BY THRUTAINERS TO YOUR INSTRUCTIONS, IT BEING AGREED THAT SUCH INSTRUCTIONS ARE ISSUED THROUGH THE SERVICES SOLELY AT YOUR OWN RISK. 4.3 THRUTAINERS SHALL NOT BE OBLIGED TO VERIFY YOUR INSTRUCTIONS. WHILST THRUTAINERS SHALL USE REASONABLY STEPS TO VERIFY THE AUTHENTICITY OF AN INSTRUCTION WHICH PURPORTS TO EMANATE FROM YOU, YOU AUTHORISE THRUTAINERS TO GIVE EFFECT TO THE INSTRUCTIONS WHICH PURPORT TO EMANATE FROM YOU, WHETHER OR NOT THAT INSTRUCTION WAS SENT OR AUTHORISED BY YOU, AND YOU AGREE TO BE BOUND THEREBY. 4.4 THRUTAINERS RESERVES THE RIGHT TO REJECT OR SUSPEND THE EXECUTION OF AN INSTRUCTION AT ANY TIME SHOULD THE VALUE OR FREQUENCY OF THE INSTRUCTION APPEAR SUSPICIOUS OR OUT OF THE ORDINARY TO THRUTAINERS. IN SO REJECTING OR SUSPENDING AN INSTRUCTION, THRUTAINERS UNDERTAKES TO CONTACT YOU WITHIN A REASONABLE PERIOD OF TIME AND FOR THE PURPOSES OF VERIFYING THE INSTRUCTION BY SUCH MEANS AS THRUTAINERS MAY DETERMINE. 5.1 YOU HEREBY INSTRUCT THRUTAINERS, VIA THE SERVICES TO EFFECT TRANSACTIONS IN ACCORDANCE WITH THE PROVISIONS OF THESE TERMS AND CONDITIONS, THE TRADING TERMS AND CONDITIONS AND IN ACCORDANCE WITH RULES AND PROCEDURES THAT APPLY TO THE SERVICES FROM TIME TO TIME. 5.2 YOU UNDERTAKE TO COMPLETE AND FURNISH THRUTAINERS WITH ALL DOCUMENTS, QUESTIONNAIRES, DETAILS, MANDATES, AUTHORISATIONS AND THE LIKE WHICH THRUTAINERS DEEMS NECESSARY TO PROVE THAT YOU HOLD THE NECESSARY AUTHORITY TO TRANSACT. 5.3 YOU UNDERTAKE TO LOG OFF FROM THE ONLINE SERVICES IN THE PRESCRIBED MANNER BEFORE EXITING THE WEBSITE. FAILURE TO LOG OFF COULD RESULT IN UNAUTHORISED TRANSACTIONS FOR WHICH THRUTAINERS WILL NOT BE HELD LIABLE. 6.1 AN E-COMMUNICATION MEANS A COMMUNICATION IN THE FORM OF A DATA MESSAGE AS DEFINED IN THE ELECTRONIC COMMUNICATIONS AND TRANSACTIONS ACT NO. 25 OF 2002 AND INCLUDES COMMUNICATIONS EXCHANGED BY MEANS OF THE WEBSITE OR BY EMAIL. 6.2 AN E-COMMUNICATION SHALL BE DEEMED TO HAVE BEEN SENT BY YOU AT THE TIME AT WHICH THRUTAINERS IS CAPABLE OF ACCESSING SUCH E-COMMUNICATION. AN E-COMMUNICATION SHALL BE DEEMED TO HAVE BEEN SENT BY THRUTAINERS AT THE TIME SHOWN ON THE E-COMMUNICATION AS HAVING BEEN SENT OR, IF NOT SO SHOWN, AT THE TIME SHOWN ON THRUTAINERS’ TRANSMISSION LOGS AS HAVING BEEN SENT. 6.3 AN E-COMMUNICATION SHALL BE DEEMED TO HAVE BEEN RECEIVED BY YOU ONCE IT BECOMES CAPABLE OF BEING RETRIEVED. AN E-COMMUNICATION SHALL BE DEEMED TO HAVE BEEN RECEIVED BY THRUTAINERS ONCE THRUTAINERS HAS CONFIRMED RECEIPT THEREOF TO YOU OR OTHERWISE RESPONDED THERETO, WHICHEVER OCCURS FIRST. 7.1 YOU AUTHORISE THRUTAINERS, AT ITS DISCRETION, TO DEBIT YOUR NOMINATED ACCOUNT WITH A TRANSACTION FEE (INCLUSIVE OF VALUE ADDED TAX) PER TRANSACTION IN CONSIDERATION OF THE USE OF THE SERVICE. 7.2 THRUTAINERS SHALL, AFTER GIVING REASONABLE NOTICE BY LETTER, FAX, E-COMMUNICATION, STATEMENT AND/OR INVOICE BE ENTITLED TO VARY THE TRANSACTION FEE FROM TIME TO TIME. 7.3 IF ANY SUCH VARIATION IN THE FEES IS PUBLISHED ON THE WEBSITE, IT SHALL BE BINDING ON YOU FROM THE DATE OF SUCH PUBLICATION. 8.1 YOU AUTHORISE THRUTAINERS TO MAKE ACCOUNT DETAILS AND STATEMENTS AVAILABLE ON THE WEBSITE WITHOUT THRUTAINERS HAVING TO SEND ACCOUNT STATEMENTS BY POSTAL SERVICES, FAX OR EMAIL. 8.2 YOU ACKNOWLEDGE THAT ACCOUNT DETAILS AND STATEMENTS WILL BE DOWNLOADABLE FROM THE WEBSITE ON A MONTHLY BASIS AND THRUTAINERS IS NOT REQUIRED TO NOTIFY YOU OF SUCH A FACT EACH MONTH. 8.3 SHOULD YOU WISH TO RETAIN ACCOUNT STATEMENTS FOR LONGER THAN THREE MONTHS, YOU MUST SAVE AN ELECTRONIC COPY OF THE ACCOUNT STATEMENTS ON YOUR COMPUTER. THRUTAINERS SHALL NOT BE OBLIGED TO RETAIN ACCOUNT STATEMENTS ON THE WEBSITE FOR LONGER THAN THREE MONTHS AFTER THE DATE OF EACH STATEMENT. 8.4 IF YOU WISH TO CLAIM INPUT VAT ON THRUTAINERS’ CHARGES, YOU MUST ENSURE THAT THE ELECTRONIC OR COMPUTER PRINT-OUT FORMAT IN WHICH YOU RETAIN THE STATEMENTS WILL BE ACCEPTABLE BY AUDITORS AND THE SOUTH AFRICAN REVENUE SERVICES. 9.1 YOU WAIVE ANY RIGHT YOU MAY HAVE OR OBTAIN AGAINST THRUTAINERS ARISING DIRECTLY OR INDIRECTLY FROM ANY LOSS OR DAMAGE OF WHATSOEVER NATURE, WHICH YOU MAY SUFFER AS A RESULT OF THE FACT THAT THRUTAINERS ACTS ON PURPORTED INSTRUCTIONS, AND AGREE TO AND DO HEREBY INDEMNIFY THRUTAINERS AGAINST ANY CLAIMS, LIABILITIES, LOSSES, TAXES, COSTS, FINES, DAMAGES AND EXPENSES INCURRED BY THRUTAINERS ARISING AS A RESULT OF THE FACT THAT THRUTAINERS HAS ACTED ON PURPORTED INSTRUCTIONS. 9.2 YOU INDEMNIFY THRUTAINERS AND HOLD IT HARMLESS AGAINST ALL CLAIMS OF WHATSOEVER NATURE FOR USE OR INABILITY TO USE THIS WEBSITE OR YOUR RELIANCE UPON ANY INFORMATION PUBLISHED ON THIS WEBSITE. 9.3 IF A PERSON PURPORTING TO REPRESENT YOU CAUSES THRUTAINERS TO SUFFER ANY LOSS, WHETHER DIRECTLY OR INDIRECTLY, SUCH PERSON HEREBY INDEMNIFIES AND HOLDS THRUTAINERS HARMLESS FOR SUCH LOSS IN SUCH PERSON’S PERSONAL CAPACITY. THRUTAINERS MAY, IN ITS SOLE DISCRETION, AMEND OR SUBSTITUTE THESE TERMS AND CONDITIONS FROM TIME TO TIME BY PUBLICATION ON THIS WEBSITE. B) WHILST THRUTAINERS HAS TAKEN REASONABLE MEASURES TO ENSURE THE INTEGRITY OF THIS WEBSITE AND ITS CONTENTS, NO WARRANTY, WHETHER EXPRESS OR IMPLIED, IS GIVEN THAT ANY FILES, DOWNLOADS OR APPLICATIONS AVAILABLE VIA THIS WEBSITE ARE FREE OF VIRUSES, TROJANS, BOMBS, TIME LOCKS OR ANY OTHER DATA OR CODE WHICH HAS THE ABILITY TO CORRUPT OR AFFECT THE OPERATION OF YOUR SYSTEM. 11.2 YOUR USE OF THIS WEBSITE AND THE INFORMATION CONTAINED THEREIN IS ENTIRELY AT YOUR OWN RISK AND YOU ASSUME FULL RESPONSIBILITY AND RISK OF LOSS RESULTING FROM THE USE THEREOF. NEITHER THRUTAINERS OR ITS AFFILIATES OR ITS MEMBERS, SHAREHOLDERS, AGENTS OR CONSULTANTS OR EMPLOYEES WILL BE LIABLE FOR ANY DAMAGES WHATSOEVER RELATING TO THE USE OF THIS WEBSITE OR THE INFORMATION CONTAINED THEREIN, INCLUDING, WITHOUT LIMITATION, ANY DIRECT, INDIRECT, SPECIAL, INCIDENTAL, CONSEQUENTIAL OR PUNITIVE DAMAGES, WHETHER IN AN ACTION ARISING OUT OF CONTRACT, STATUTE, DELICT OR OTHERWISE. 11.3 THRUTAINERS SHALL NOT BE LIABLE TO YOU FOR ANY LOSS OR DAMAGE ARISING FROM ANY UNAUTHORISED USE OF THE SERVICE, WHETHER AS A RESULT OF YOUR REPRESENTATIVES EXCEEDING THEIR AUTHORITY, FRAUD, THE THEFT OF YOUR EQUIPMENT OR ANY COMPROMISE TO THE CONFIDENTIALITY OF THE VERIFICATION MECHANISMS. YOU INDEMNIFY THRUTAINERS ACCORDINGLY. 11.4 YOU AGREE THAT THE USE OF THE SERVICE IS ON YOUR INITIATIVE AND AT YOUR OWN RISK. 11.5 THRUTAINERS WILL NOT BE RESPONSIBLE FOR ANY FAILURE, MALFUNCTION OR DELAY OF ANY NETWORKS OR ELECTRONIC OR MECHANICAL DEVICE USED IN THE ACCEPTANCE AND PROCESSING OF TRANSACTIONS AND ANY OTHER USE OF THE SERVICE. 11.6 THRUTAINERS MAKES NO WARRANTIES, REPRESENTATIONS, STATEMENTS OR GUARANTEES WITH REGARD TO THE SUITABILITY OF THE SERVICE FOR ANY PARTICULAR PURPOSE. THE CONTENTS OF THIS SITE ARE PROTECTED BY THE COPYRIGHT LAWS OF THE REPUBLIC OF SOUTH AFRICA. YOU MAY NOT INTER ALIA REPRODUCE, PUBLISH, BROADCAST OR ADAPT THE CONTENTS OF THIS SITE EXCEPT INSOFAR AS THIS IS REASONABLY REQUIRED FOR YOUR OWN PERSONAL USE. YOUR ATTENTION IS DRAWN TO THE FACT THAT COMMUNICATIONS ARE SUSCEPTIBLE TO MONITORING AND INTERCEPTION. YOU SHALL BEAR ALL RISK OF TRANSMITTING INFORMATION AND UNDER NO CIRCUMSTANCES WILL THRUTAINERS BE LIABLE FOR ANY LOSS, HARM OR DAMAGE SUFFERED BY YOU AS A RESULT THEREOF. THESE TERMS AND CONDITIONS SHALL BE GOVERNED BY AND CONSTRUED IN ACCORDANCE WITH THE LAWS OF THE REPUBLIC OF SOUTH AFRICA WITHOUT GIVING EFFECT TO ANY PRINCIPLES OF CONFLICT OF LAW. YOU HEREBY CONSENT TO THE EXCLUSIVE JURISDICTION OF THE HIGH COURT OF SOUTH AFRICA IN RESPECT OF ANY DISPUTES ARISING IN CONNECTION WITH THE SERVICE OR THESE TERMS OR CONDITIONS OR ANY MATTER RELATED TO OR IN CONNECTION THEREWITH. THE CONTACT DETAILS YOU HAVE SUBMITTED TO THRUTAINERS WHEN REGISTERING TO HAVE ACCESS TO THE SERVICES ON THE THRUTAINERS WEBSITE. 15.2 THRUTAINERS MAY FROM TIME TO TIME SERVE NOTICES AND COMMUNICATE WITH YOU VIA PUBLICATION OF SUCH COMMUNICATIONS ON THIS WEBSITE. IT IS YOUR RESPONSIBILITY TO READ THESE COMMUNICATIONS. 15.3 EACH PARTY WILL BE ENTITLED FROM TIME TO TIME BY WRITTEN NOTICE TO THE OTHER PARTIES TO CHANGE ANY OF ITS DOMICILIUM ADDRESSES TO ANY OTHER ADDRESS WITHIN THE REPUBLIC OF SOUTH AFRICA, PROVIDED THAT ONE OF THE ADDRESSES SHALL ALWAYS BE A STREET ADDRESS AT WHICH THE SERVICE OF LEGAL PROCESSES CAN BE EFFECTED. (C) IS TRANSMITTED BY FACSIMILE TO THE ADDRESSEE AT ITS DOMICILIUM SHALL BE DEEMED TO HAVE BEEN RECEIVED BY THE ADDRESSEE ON THE DATE OF TRANSMISSION OR, IF THE TRANSMISSION IS MADE OUT OF NORMAL BUSINESS HOURS, ON THE FIRST BUSINESS DAY FOLLOWING AFTER THE DATE OF TRANSMISSION.